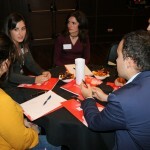 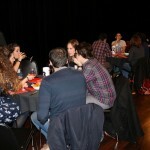 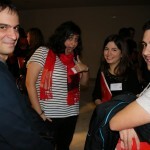 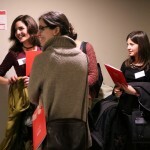 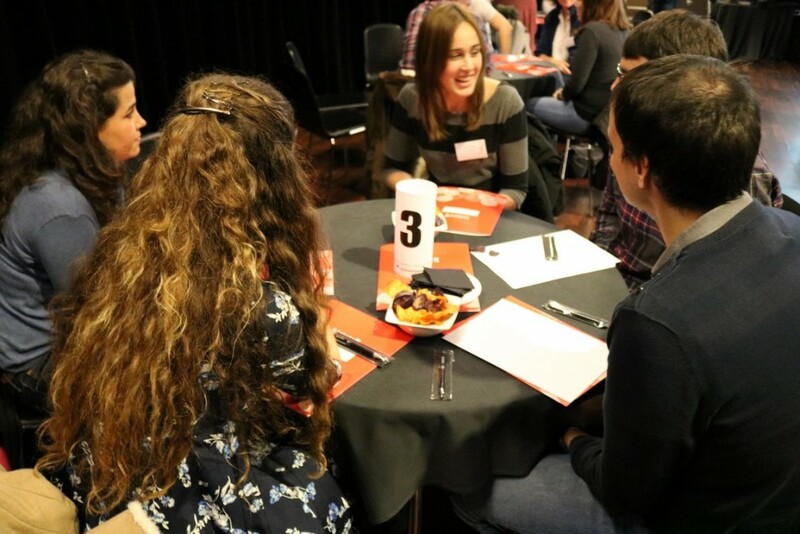 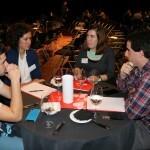 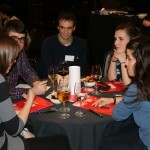 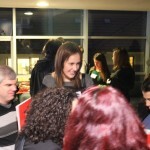 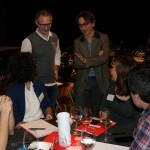 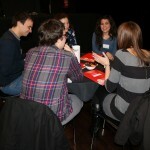 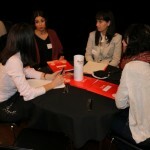 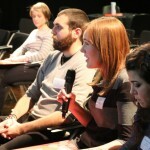 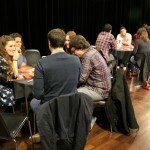 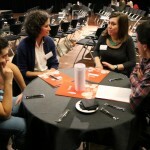 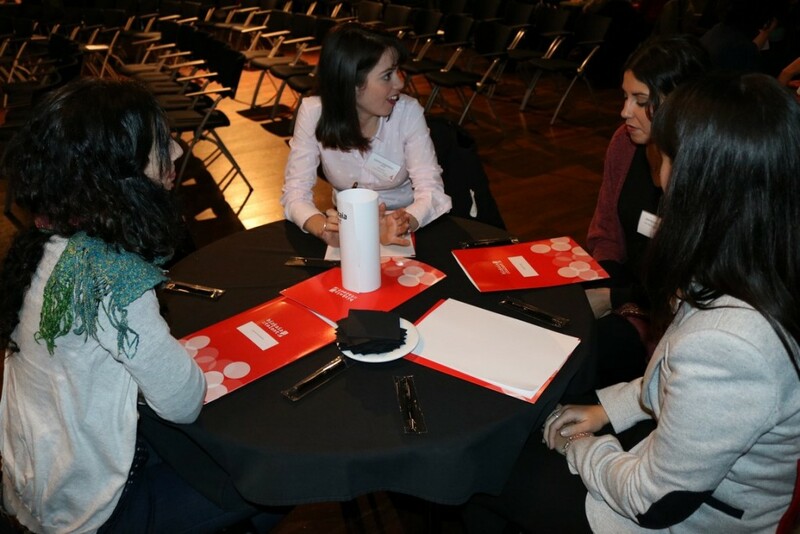 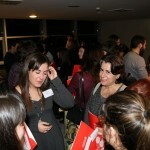 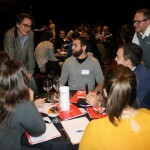 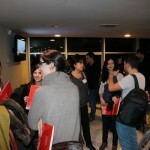 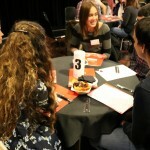 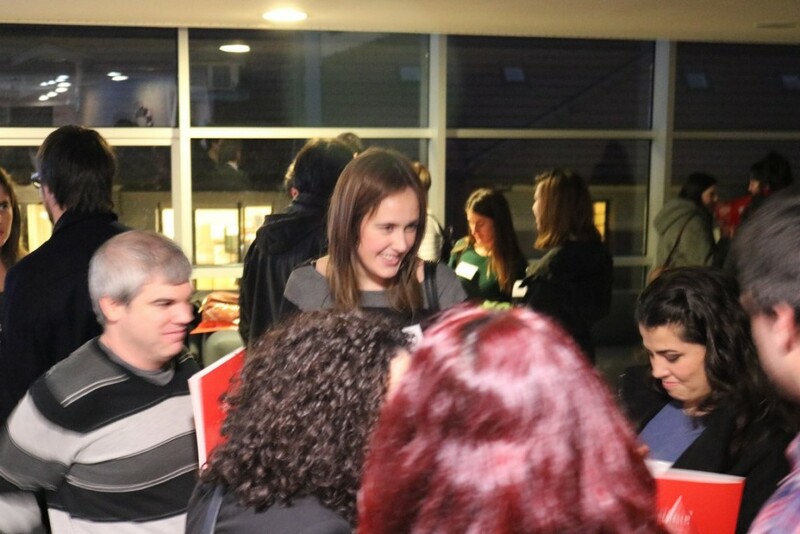 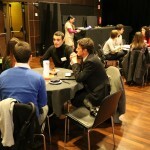 The first TALENTIA NETWORK event of the year took place on Thursday, 28 January. 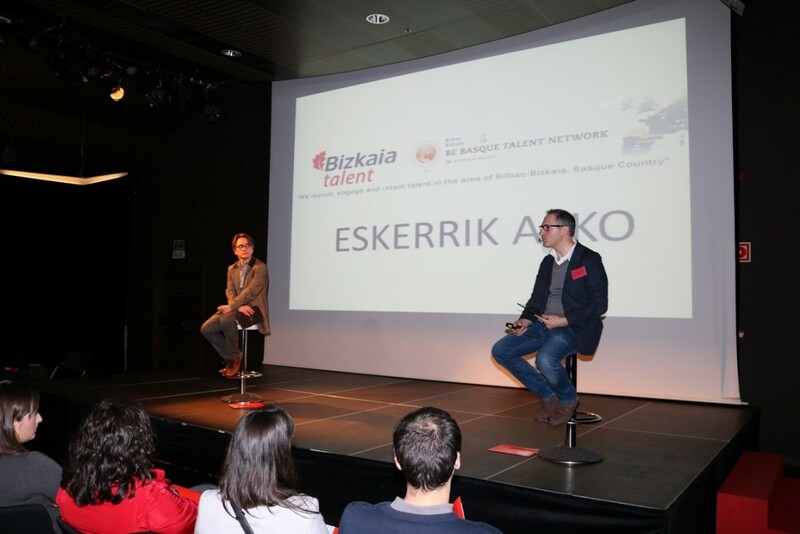 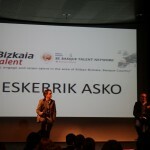 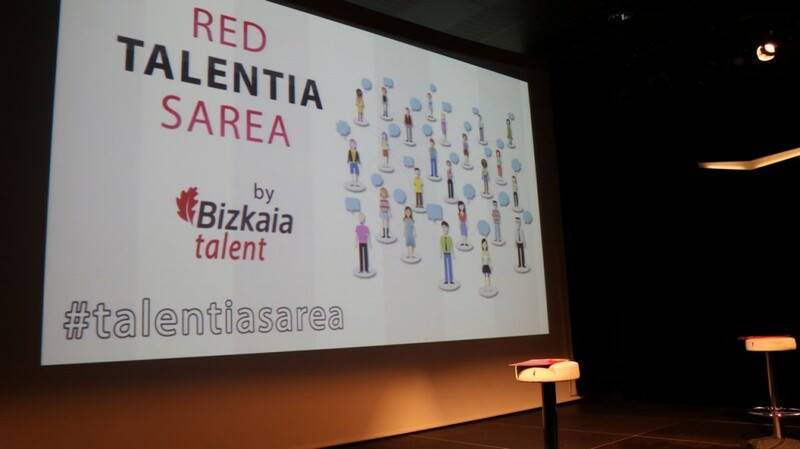 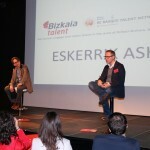 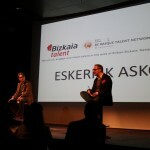 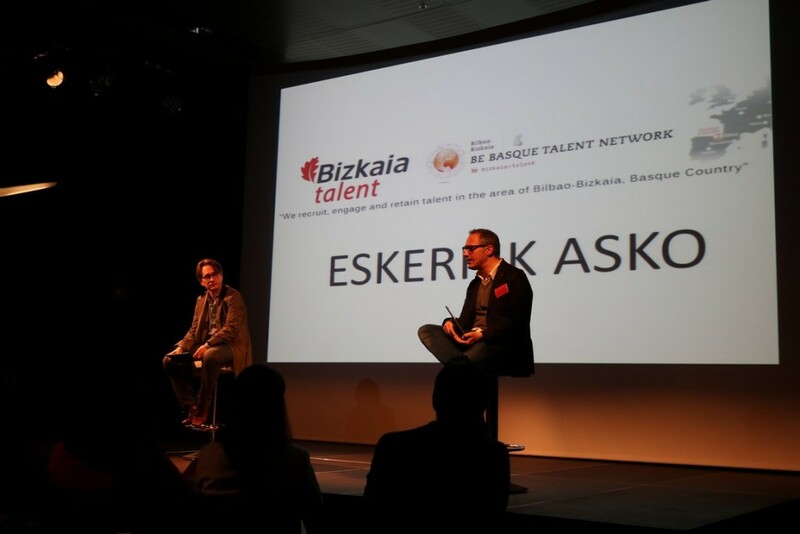 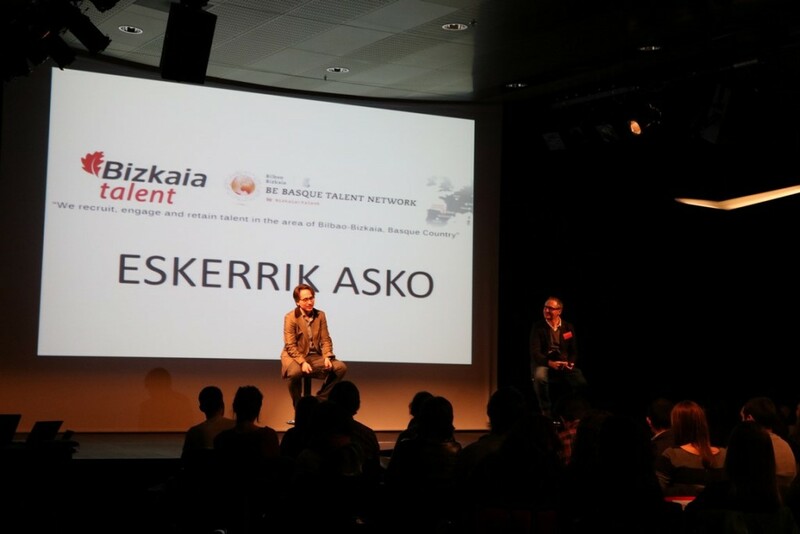 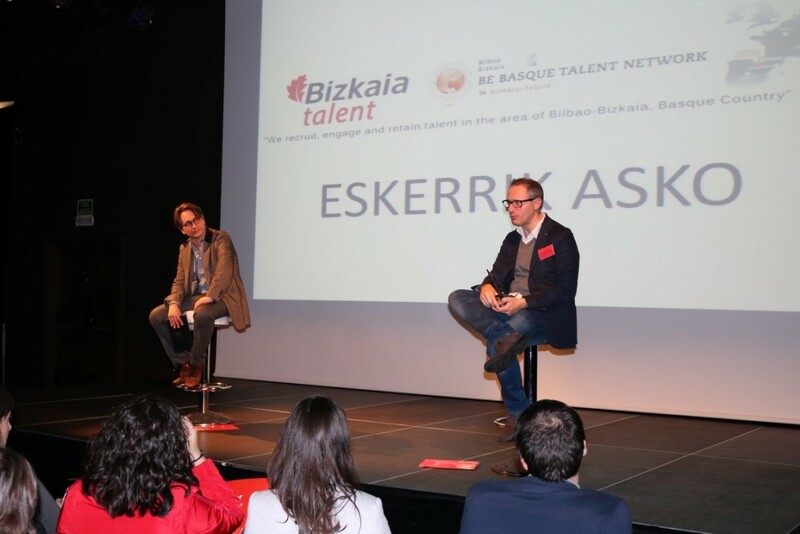 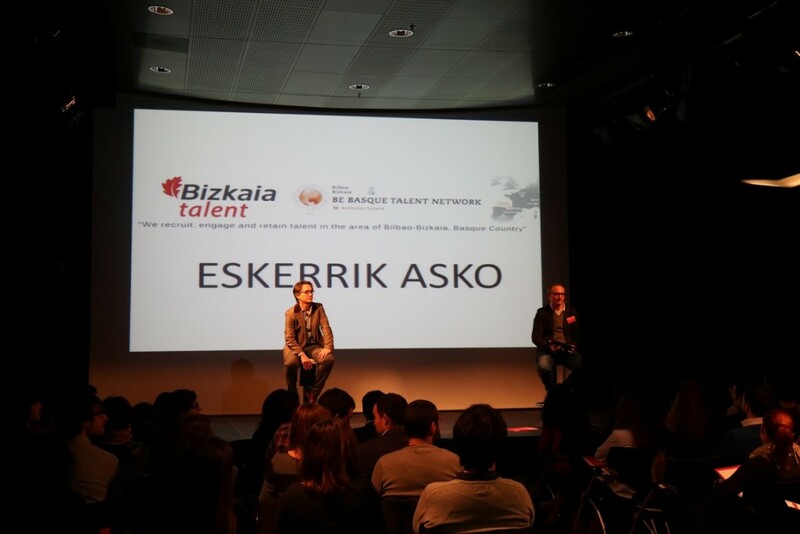 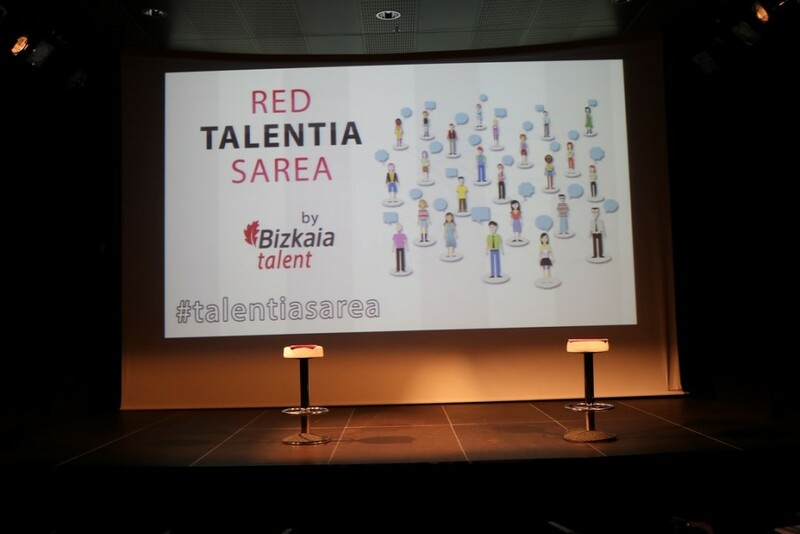 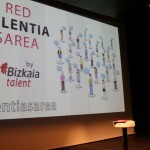 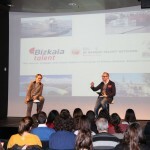 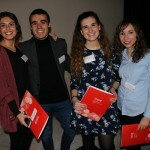 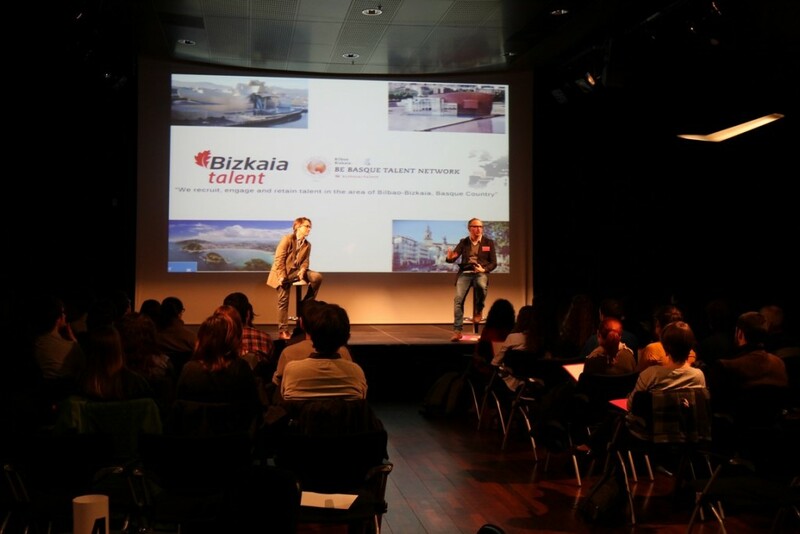 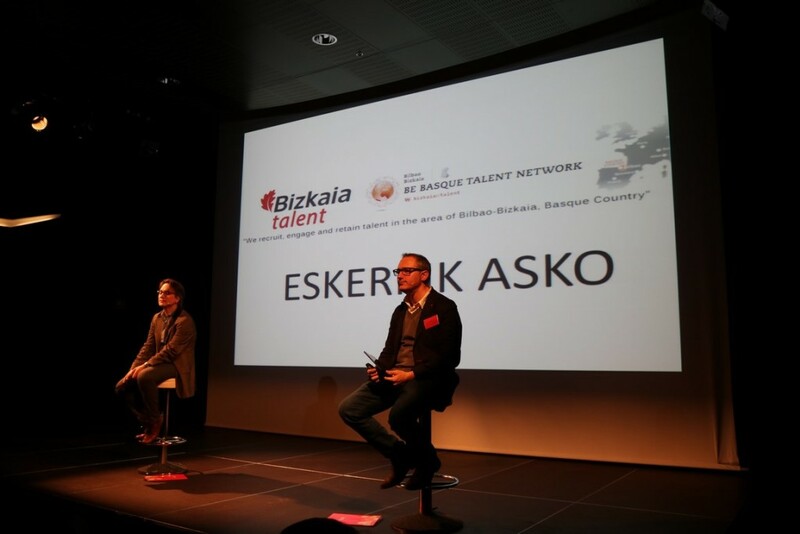 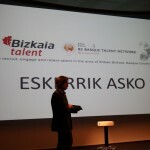 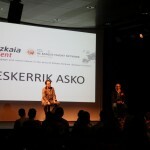 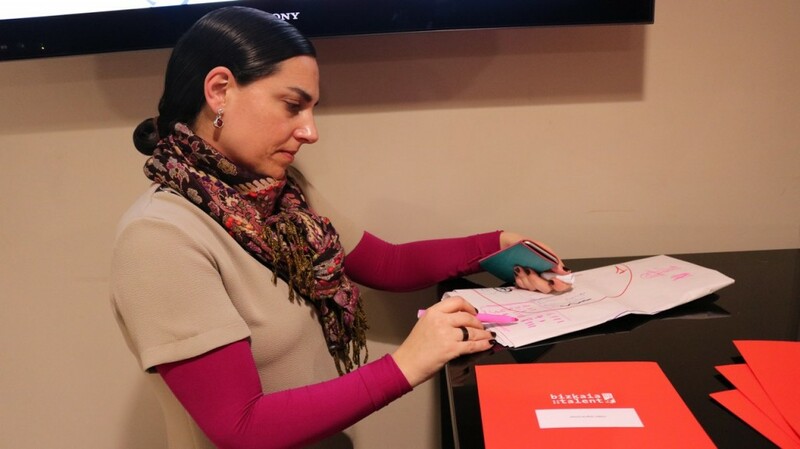 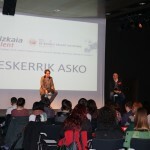 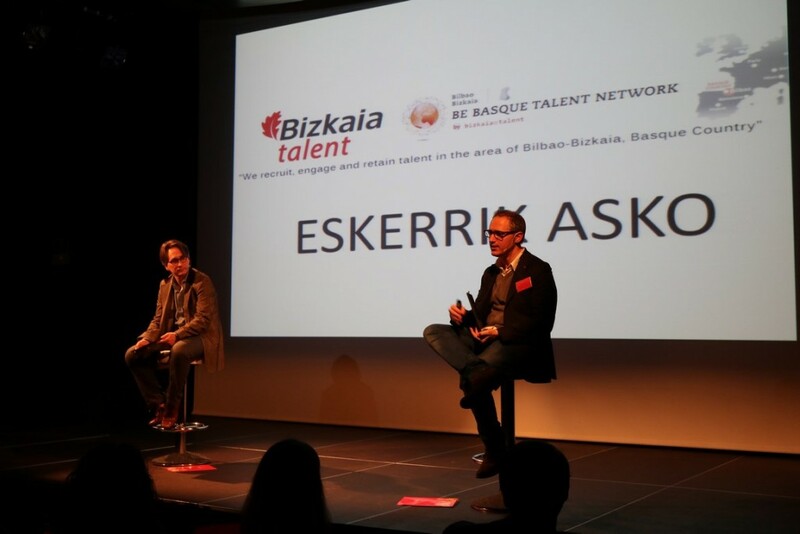 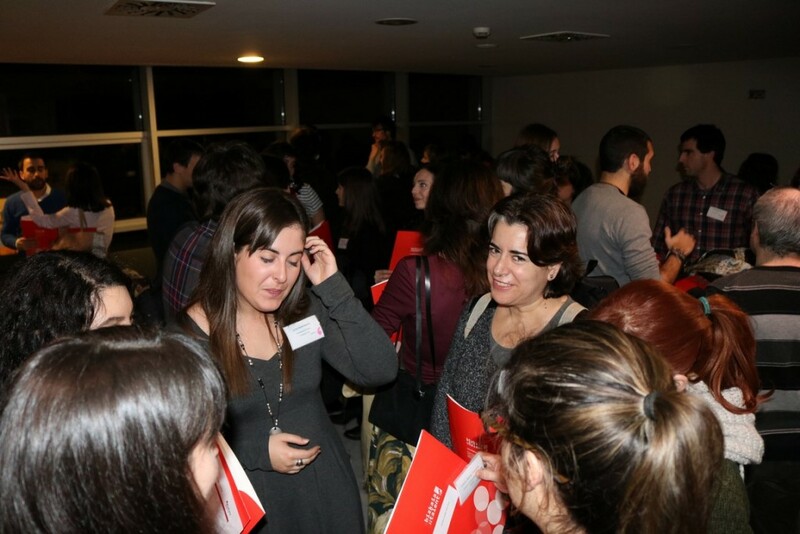 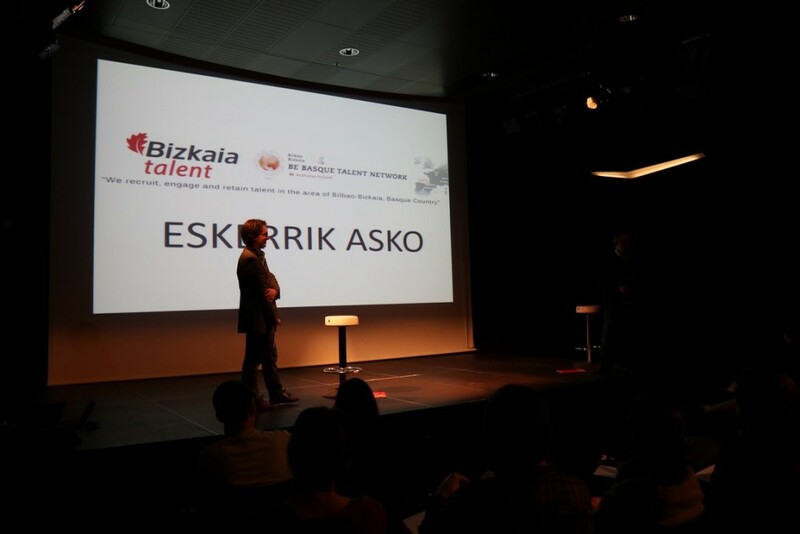 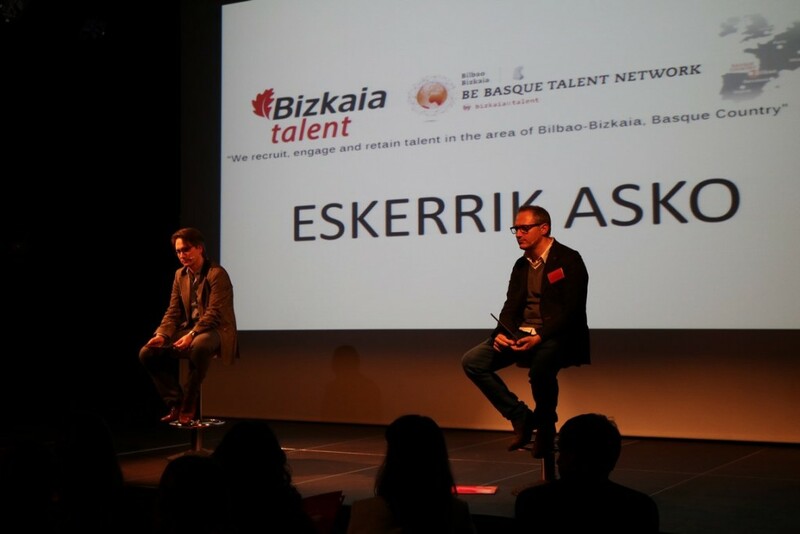 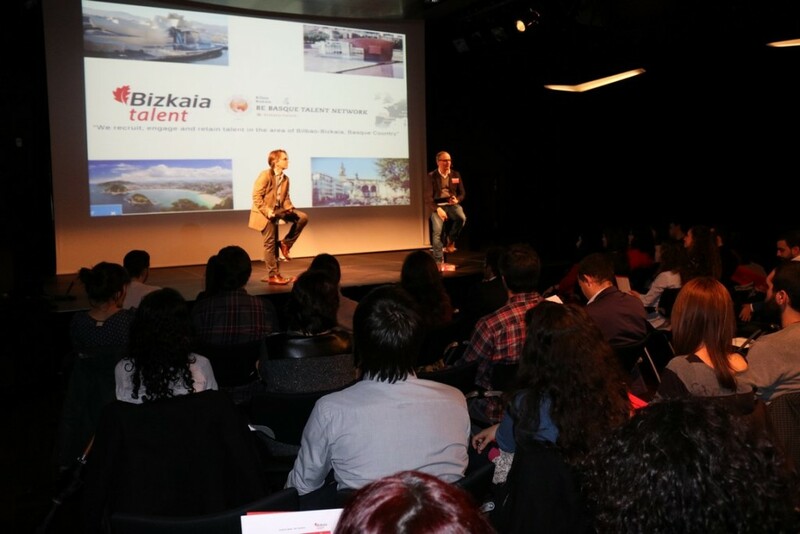 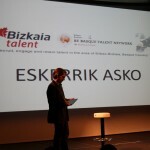 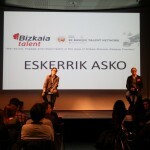 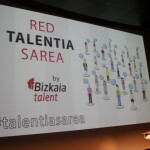 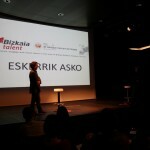 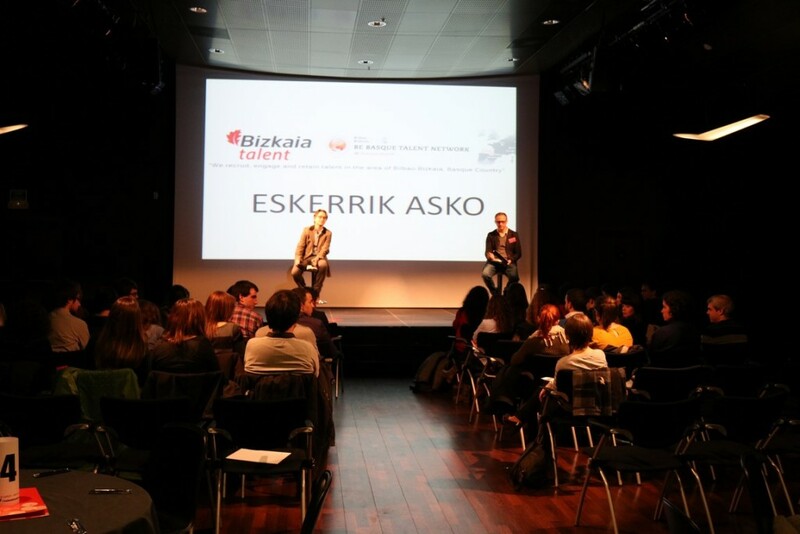 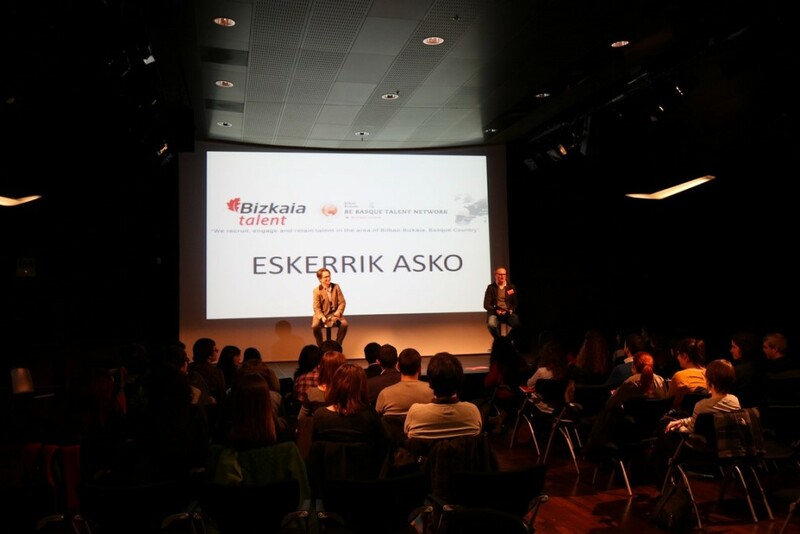 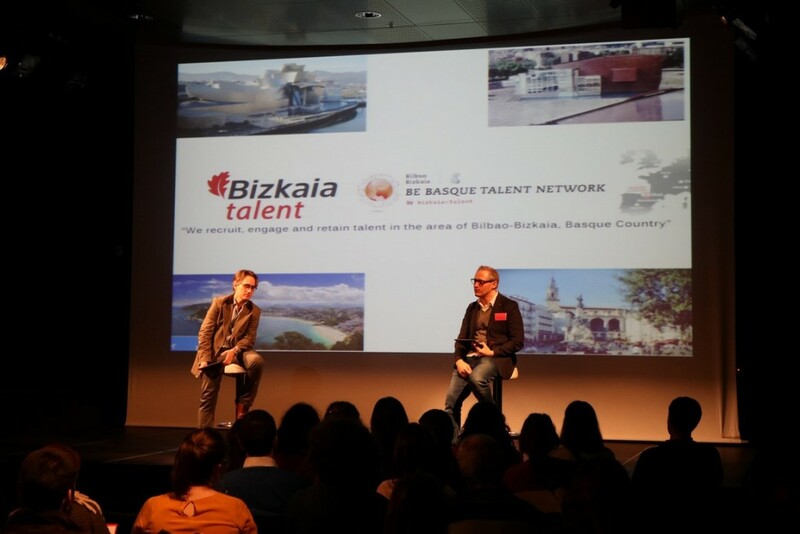 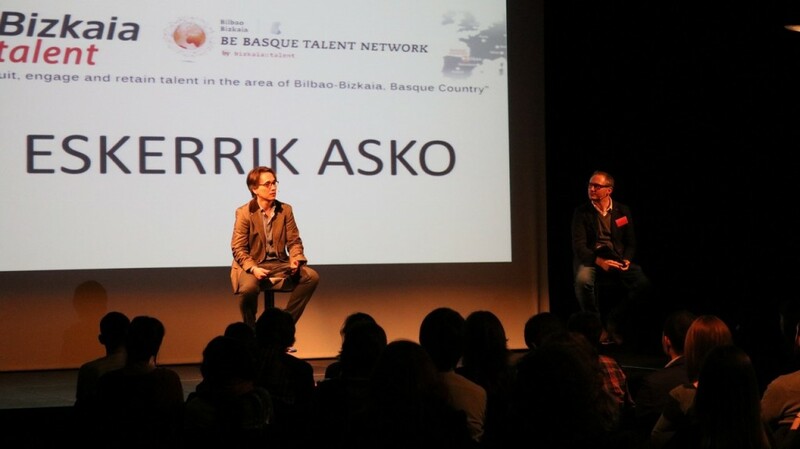 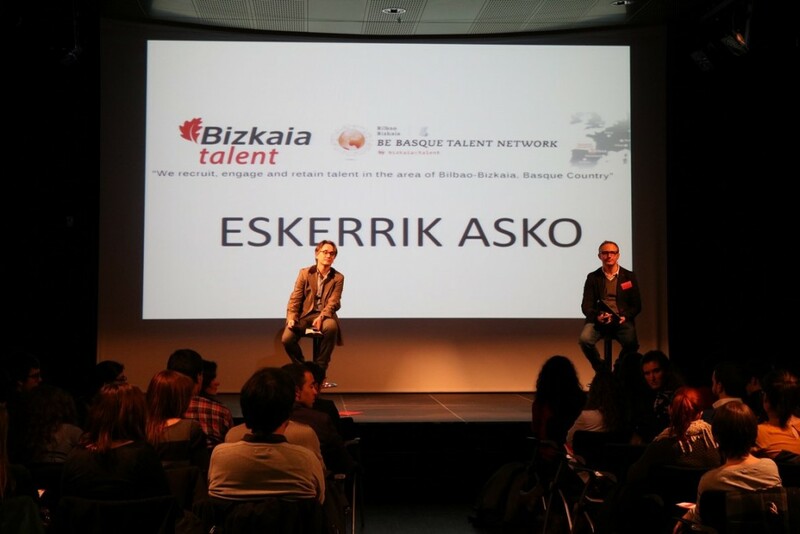 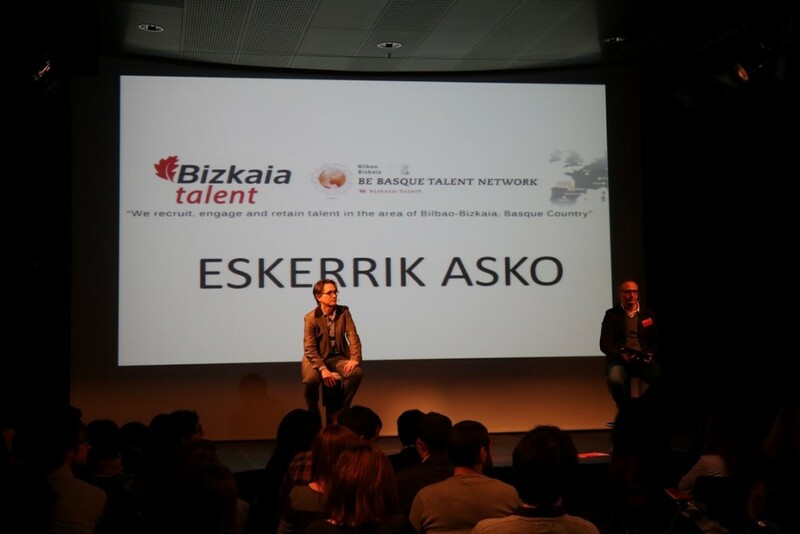 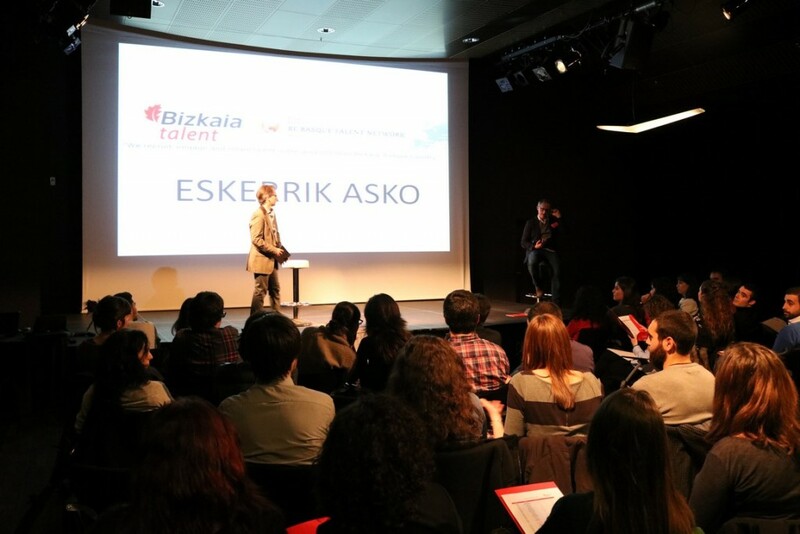 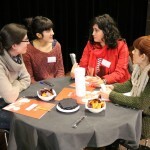 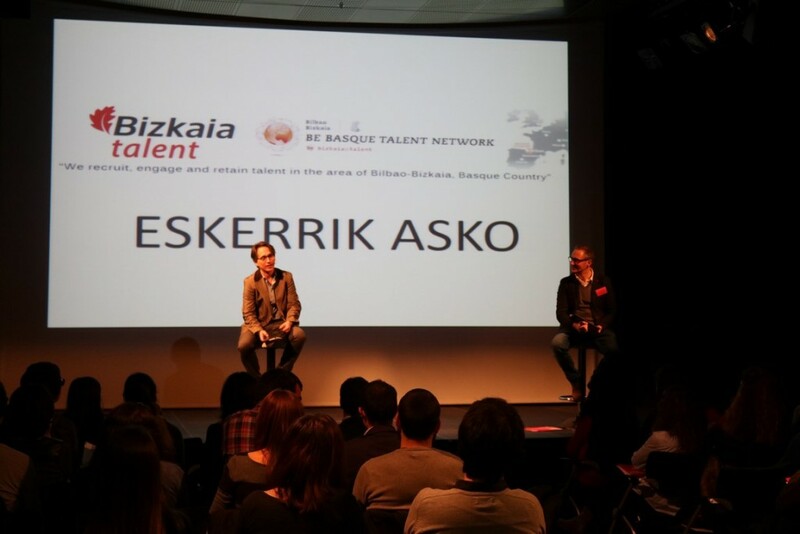 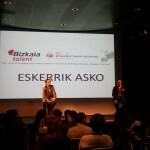 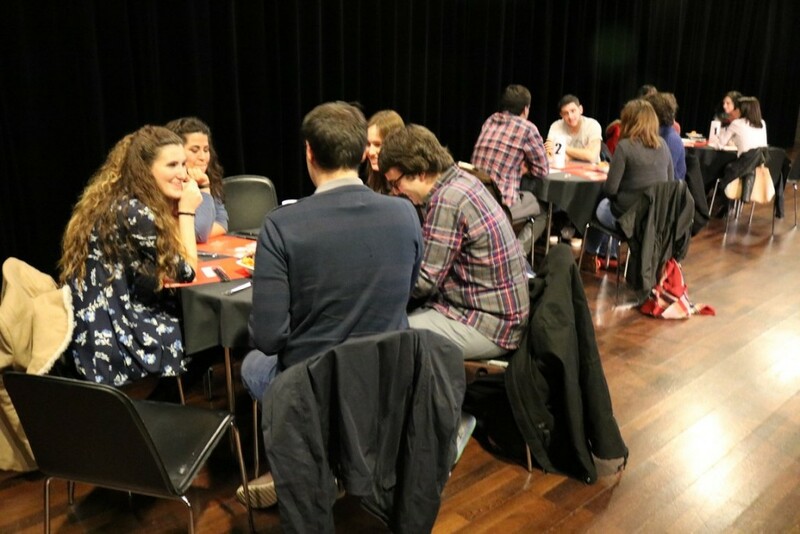 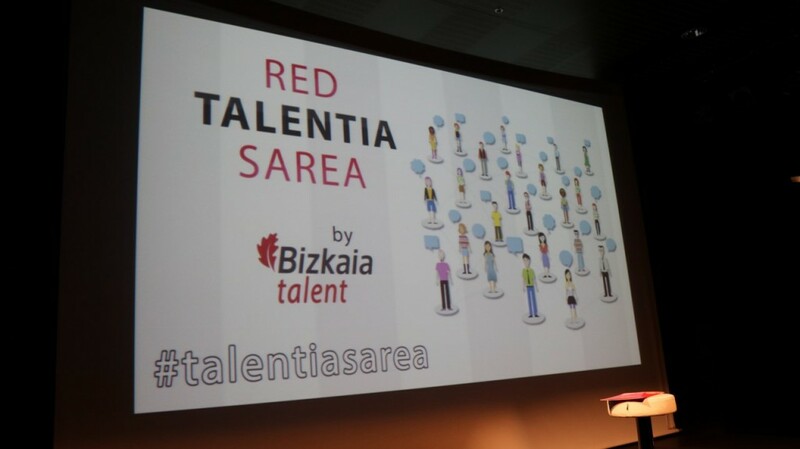 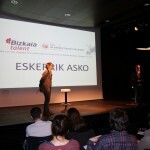 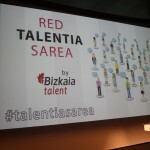 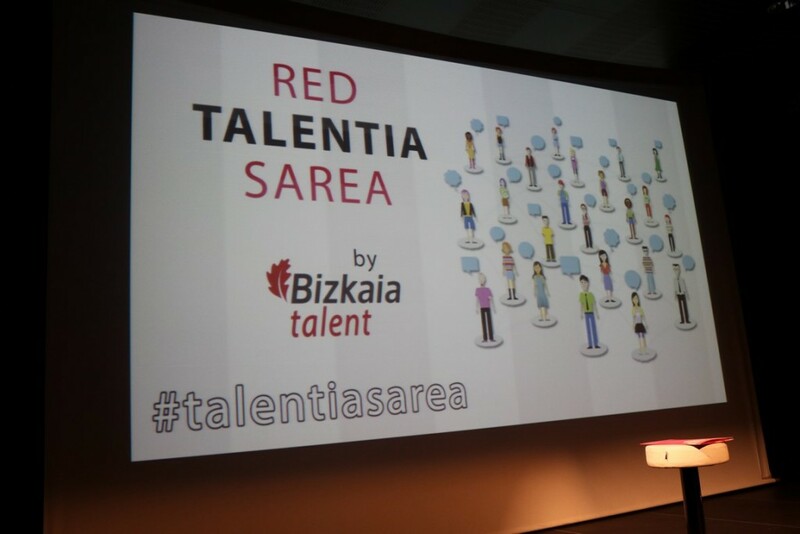 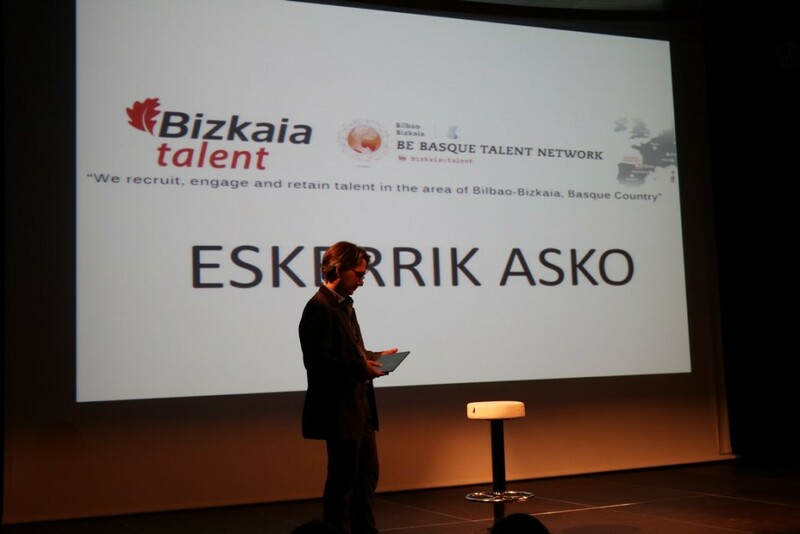 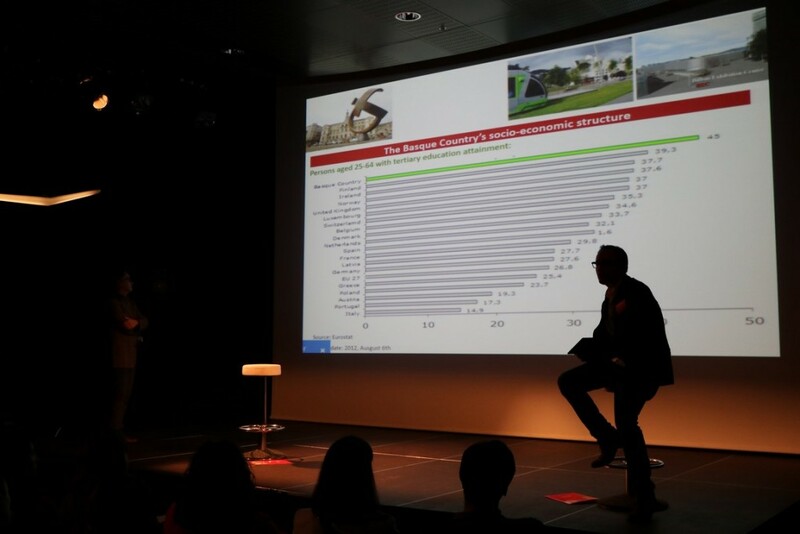 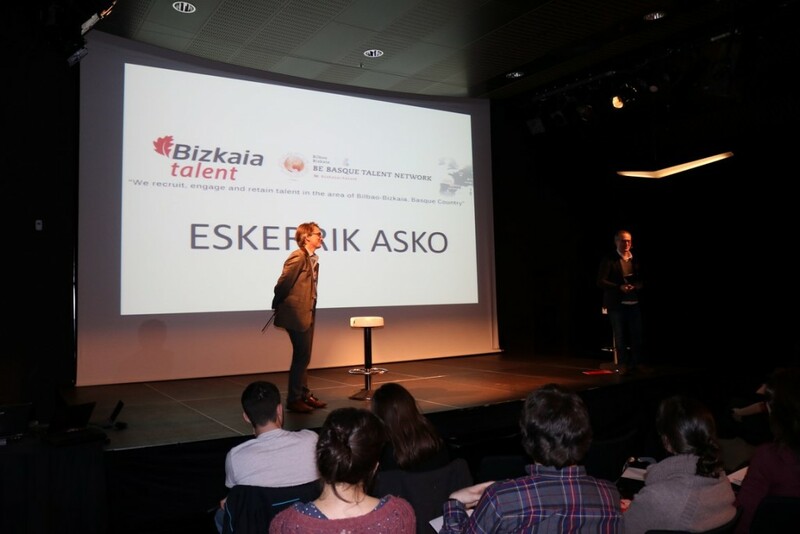 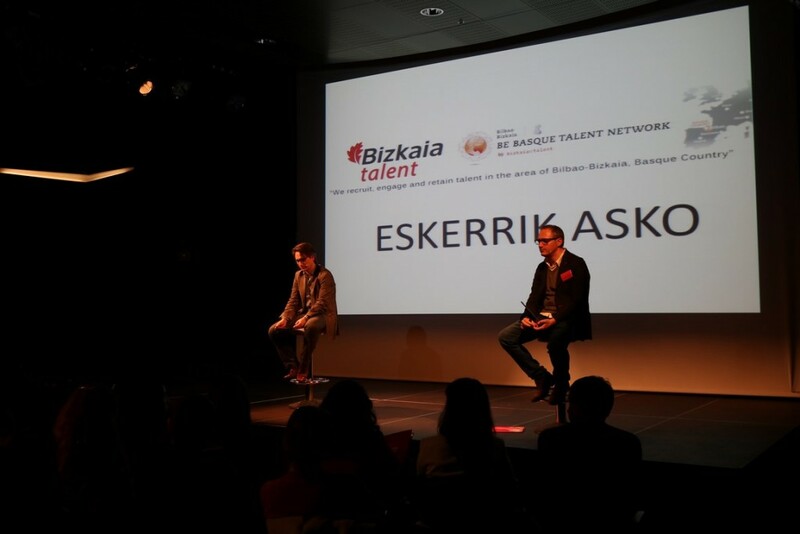 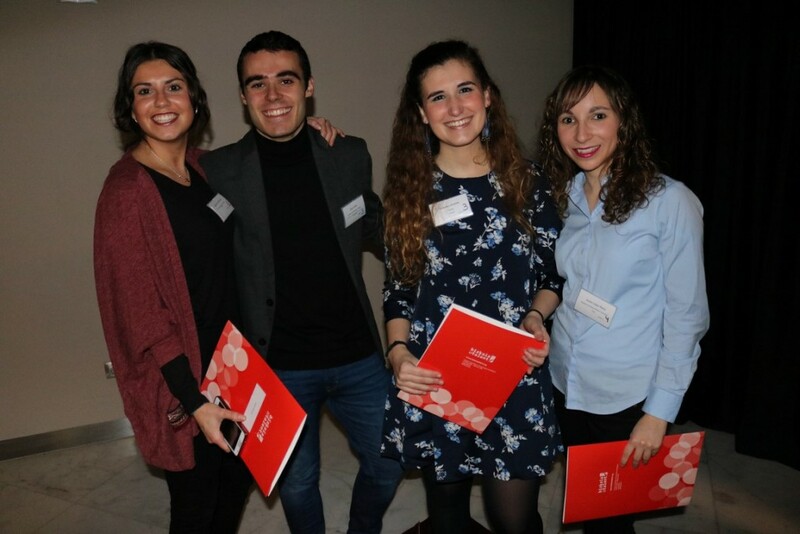 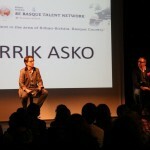 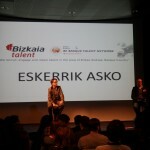 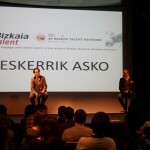 This Network is made up of nearly 1,000 people who have participated in the six editions of bizkaia:talent’s Talentia Program. 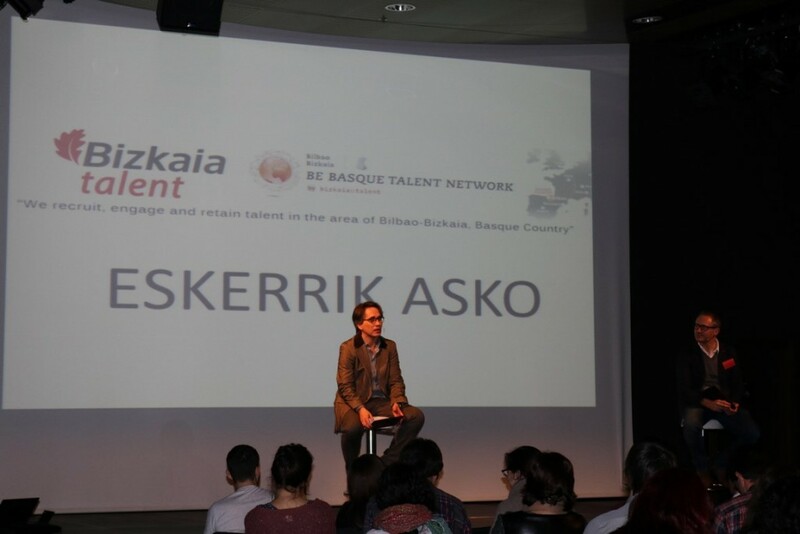 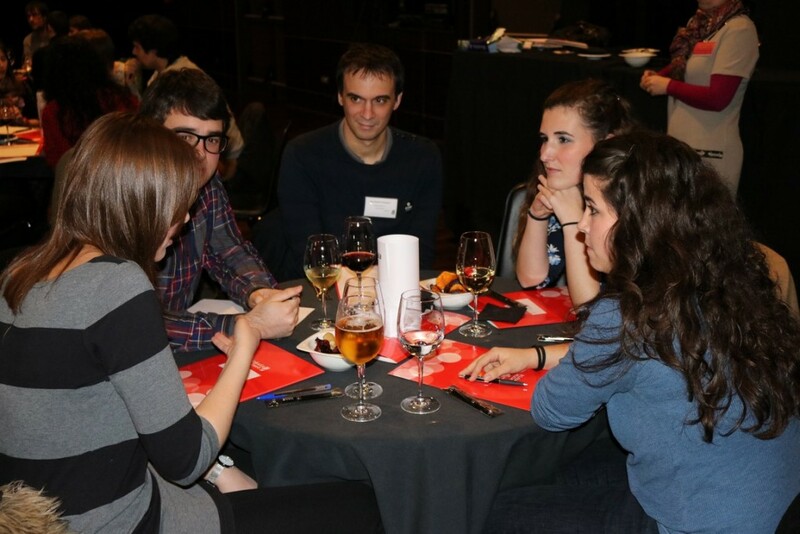 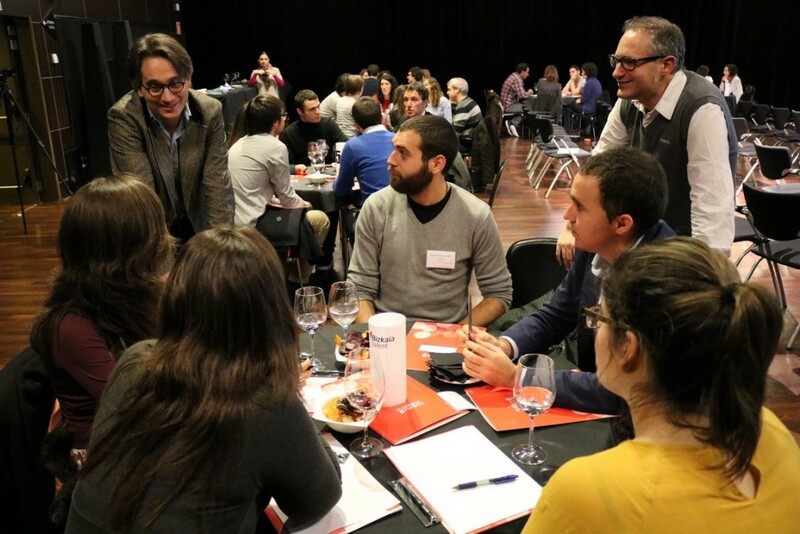 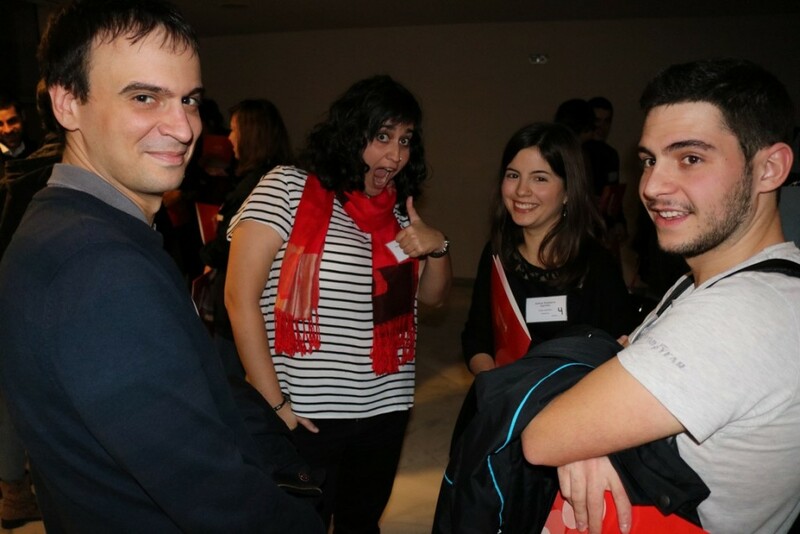 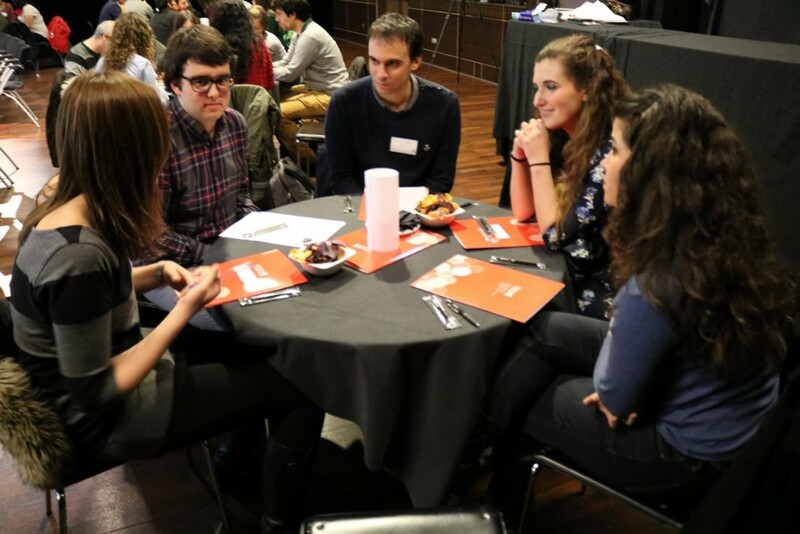 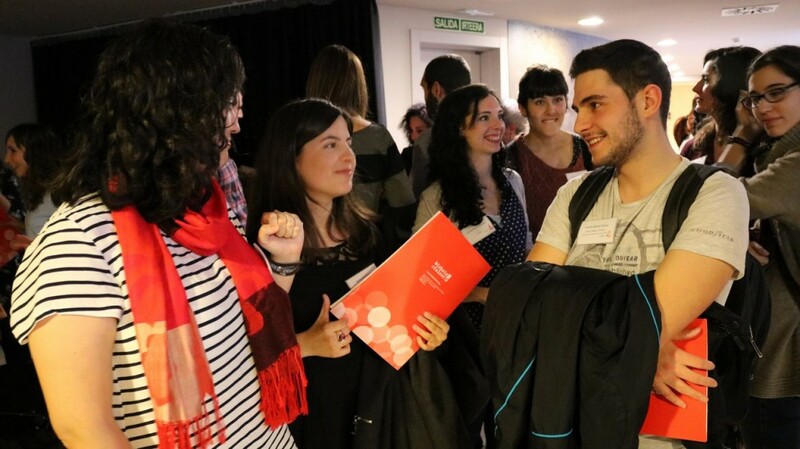 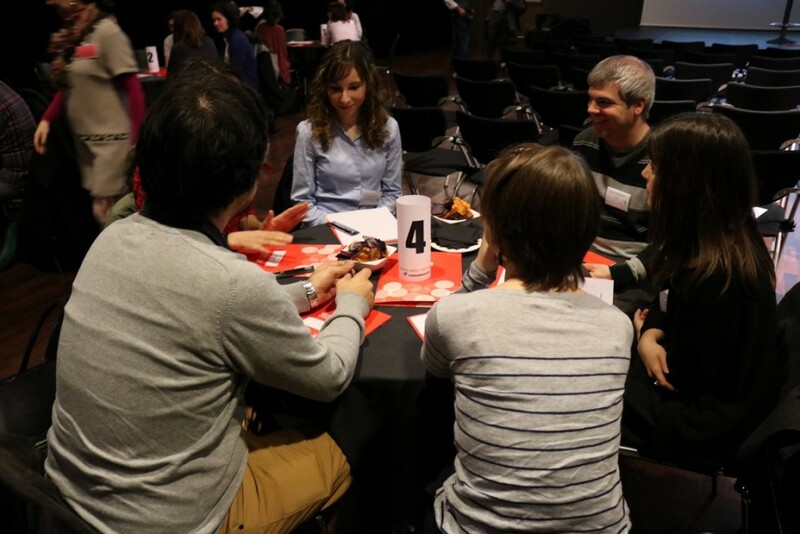 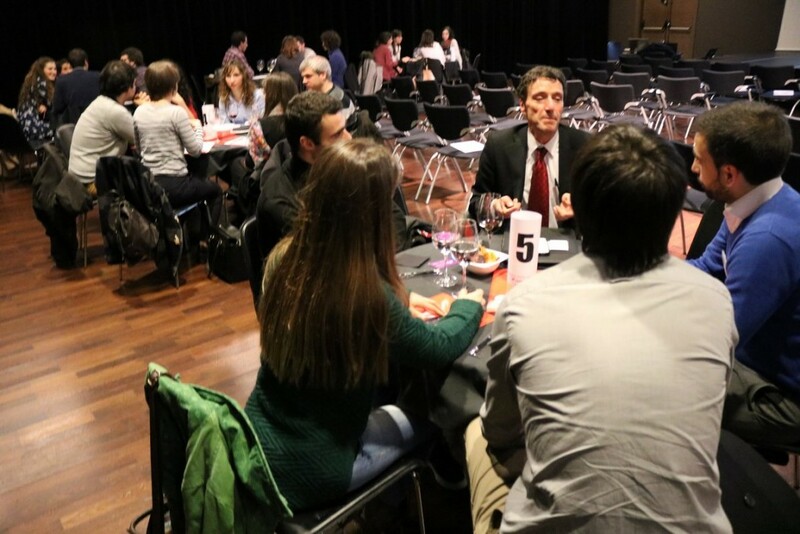 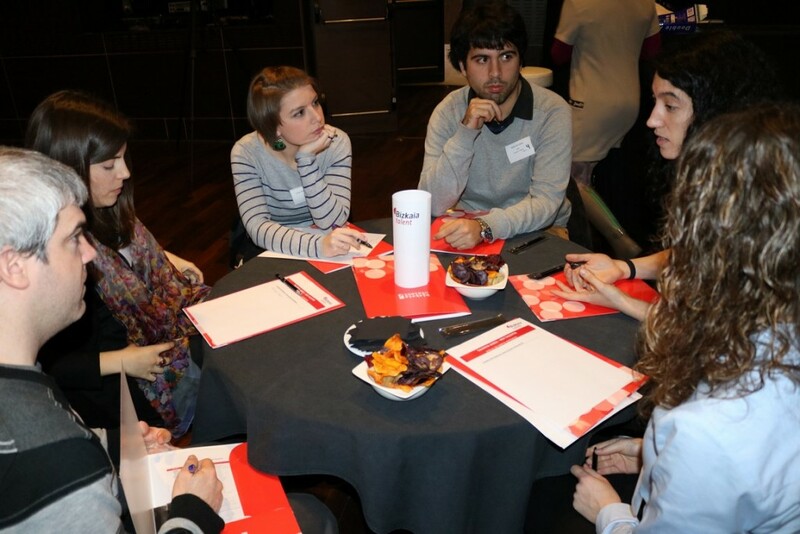 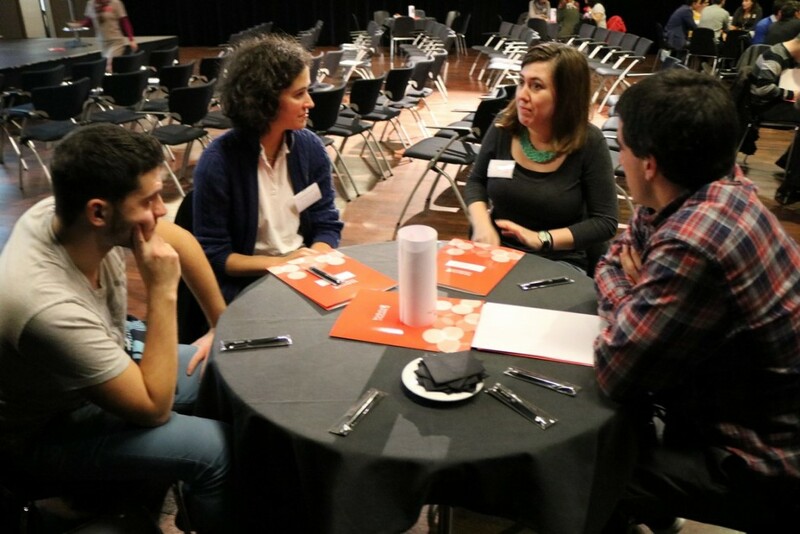 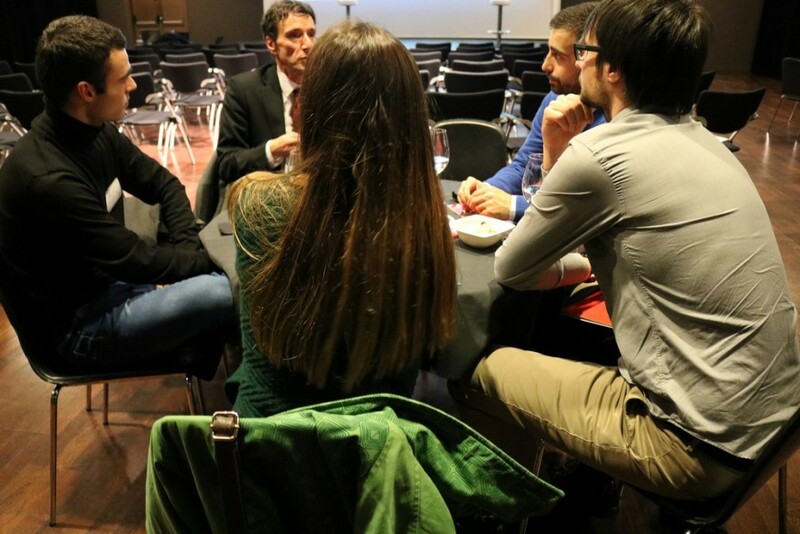 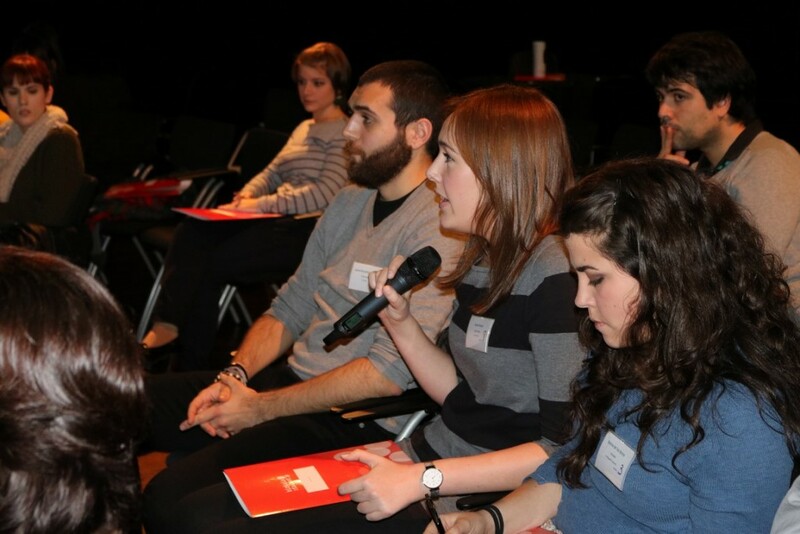 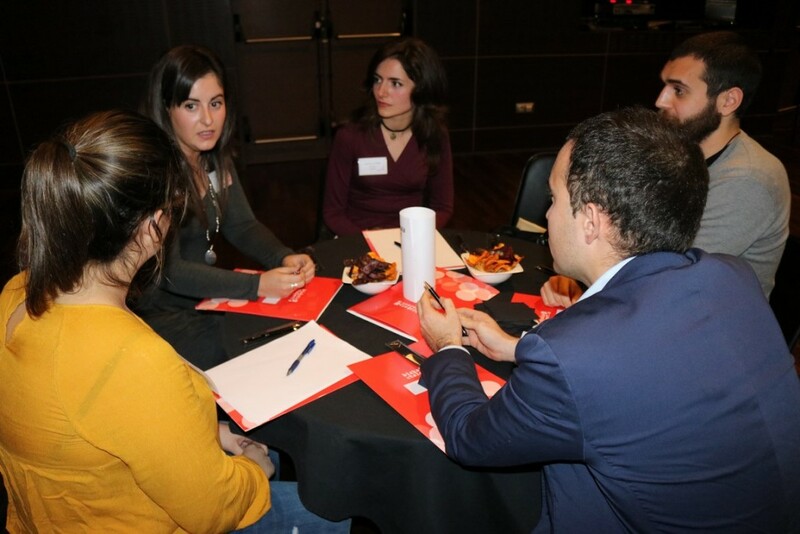 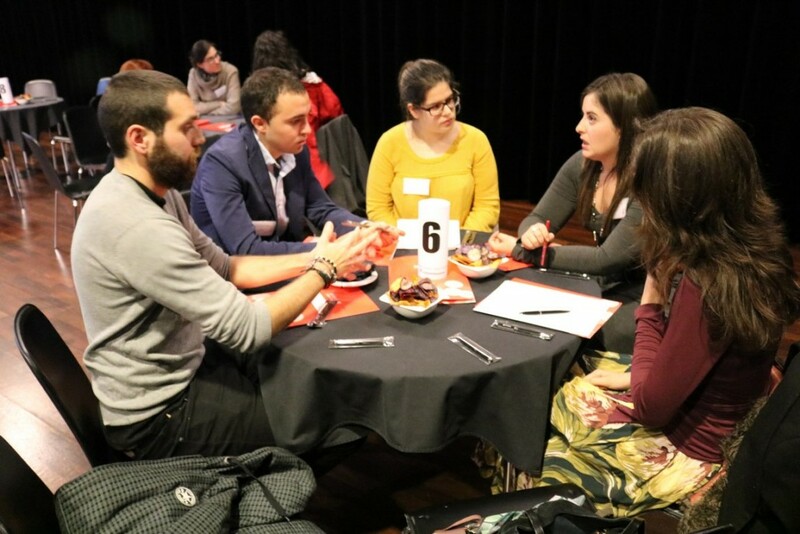 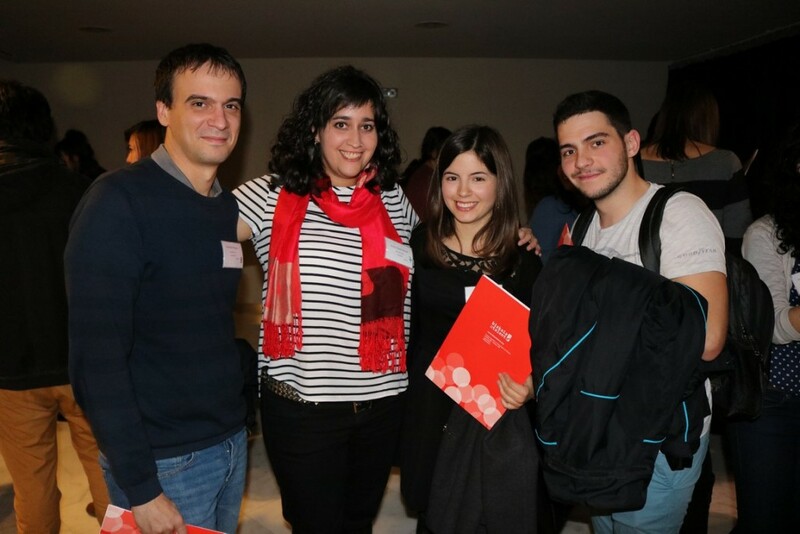 This program aims at guiding university students with the highest potential from the three Basque Universities towards adequate job placement and professional development as well as supporting their engagement with the scientific, technological and business reality around them. 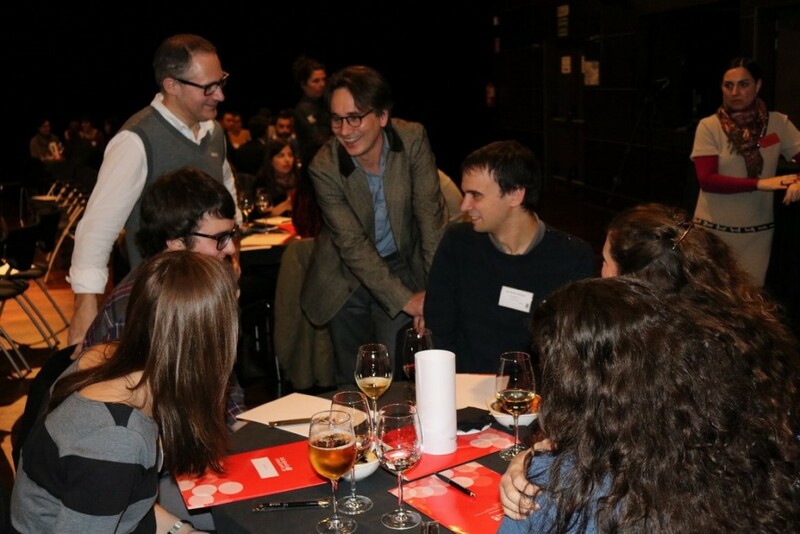 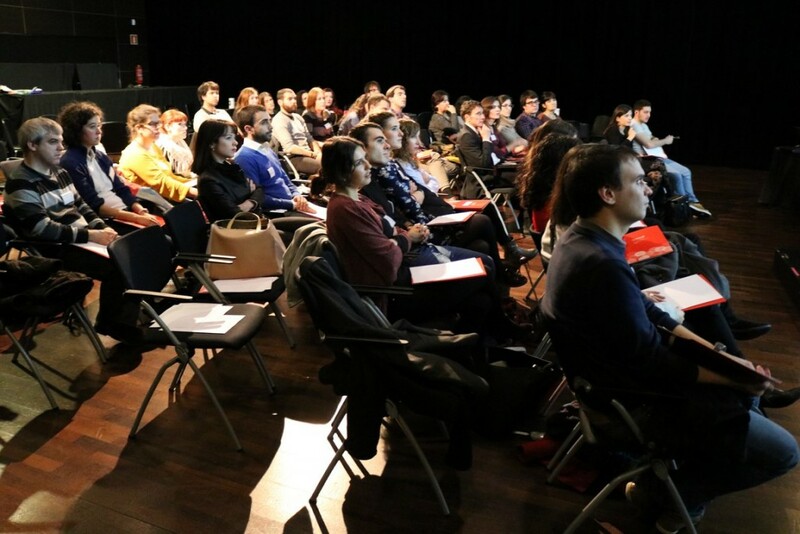 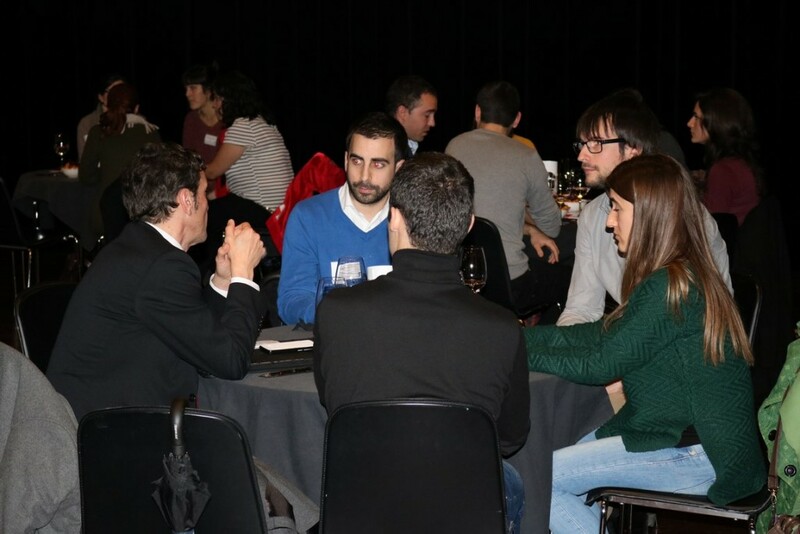 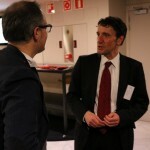 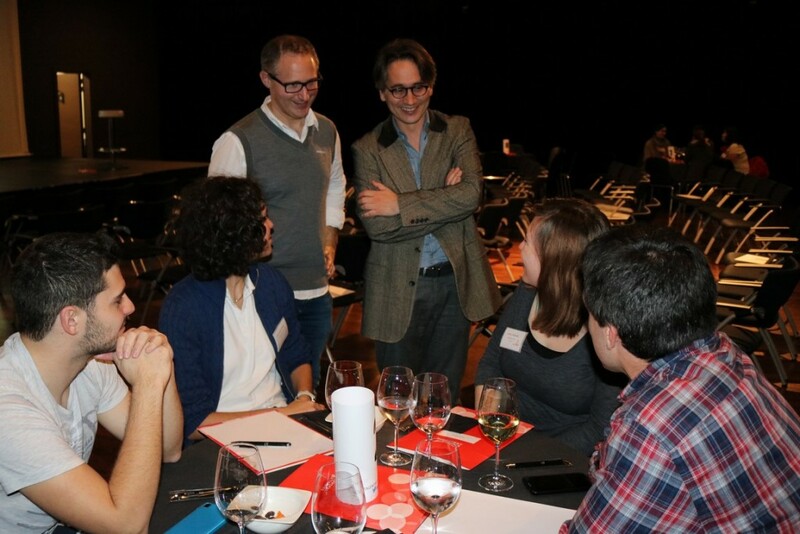 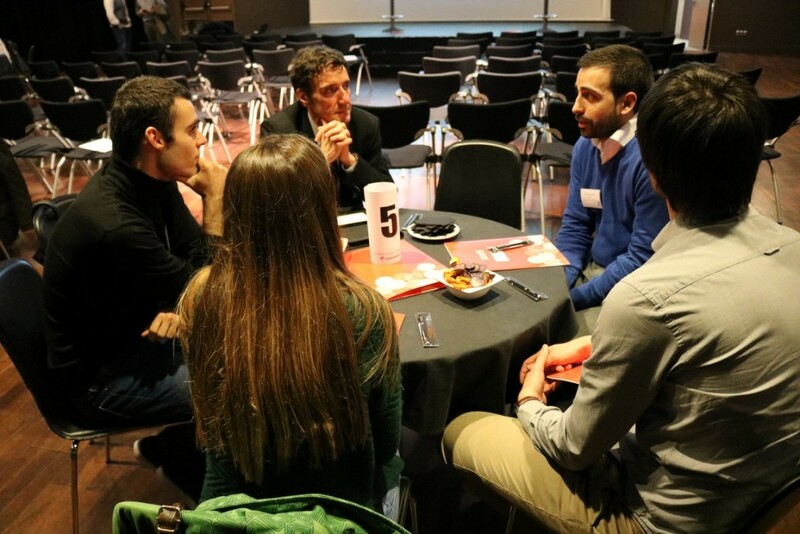 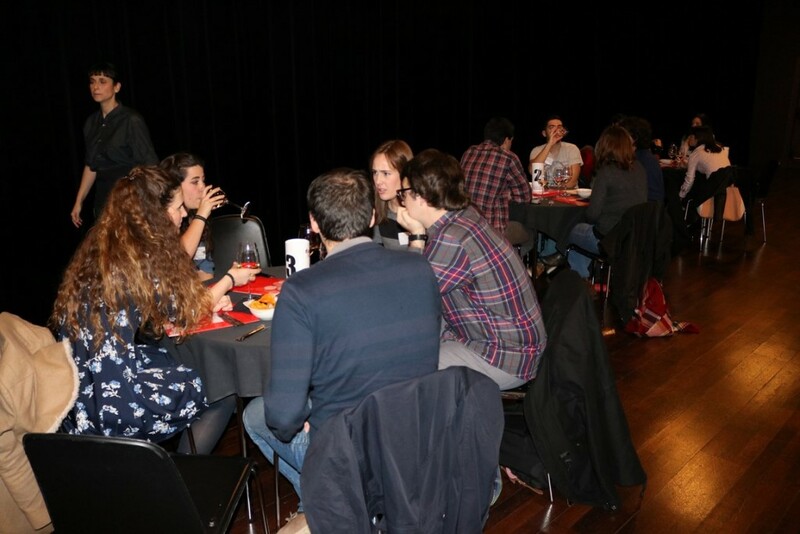 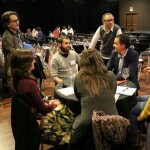 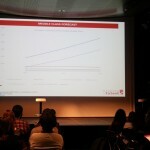 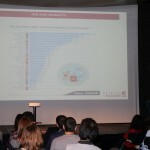 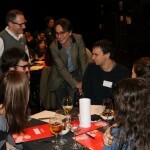 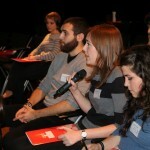 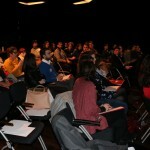 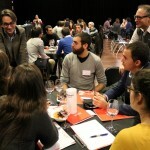 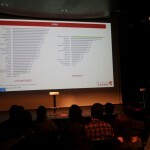 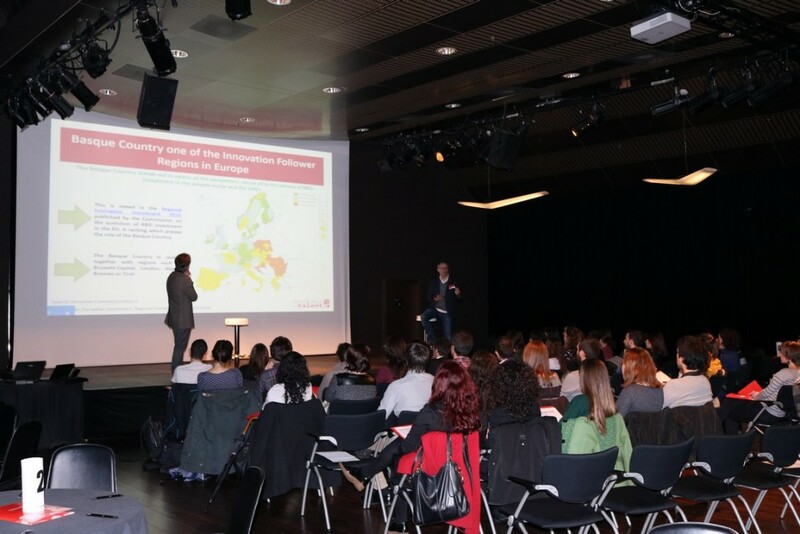 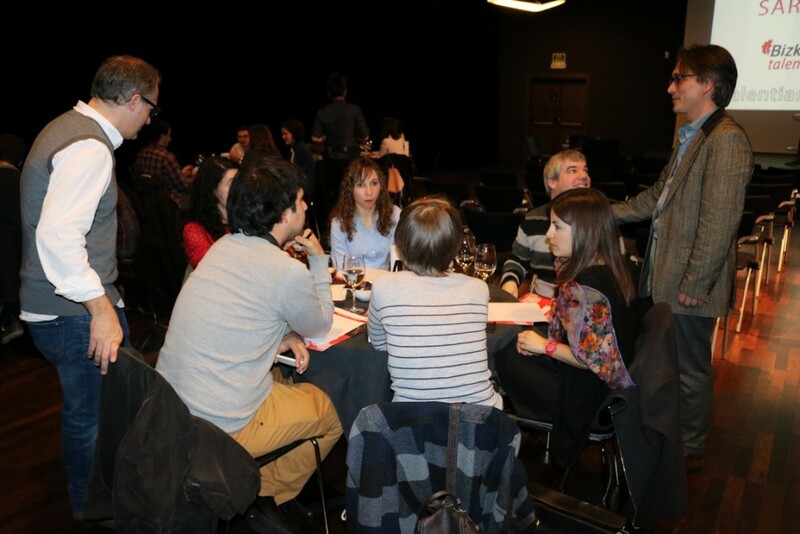 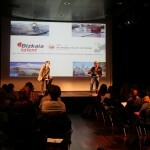 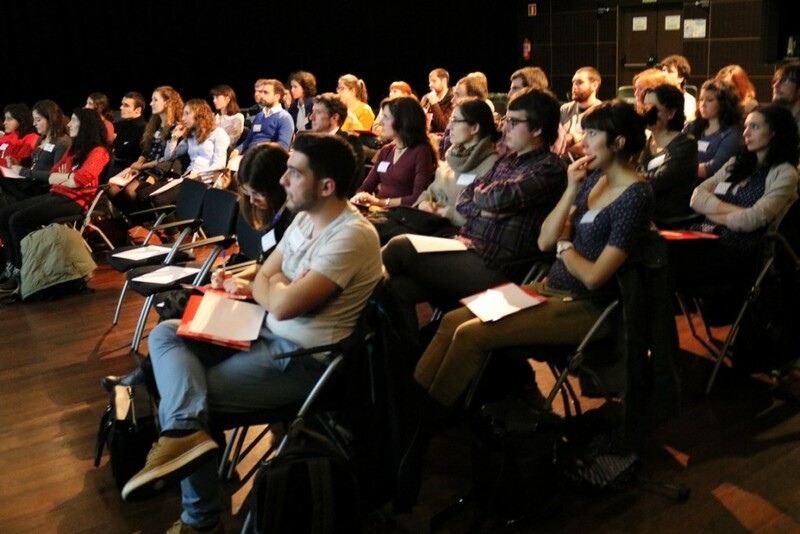 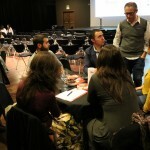 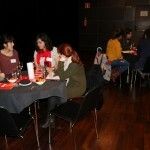 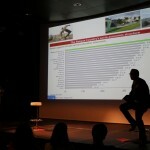 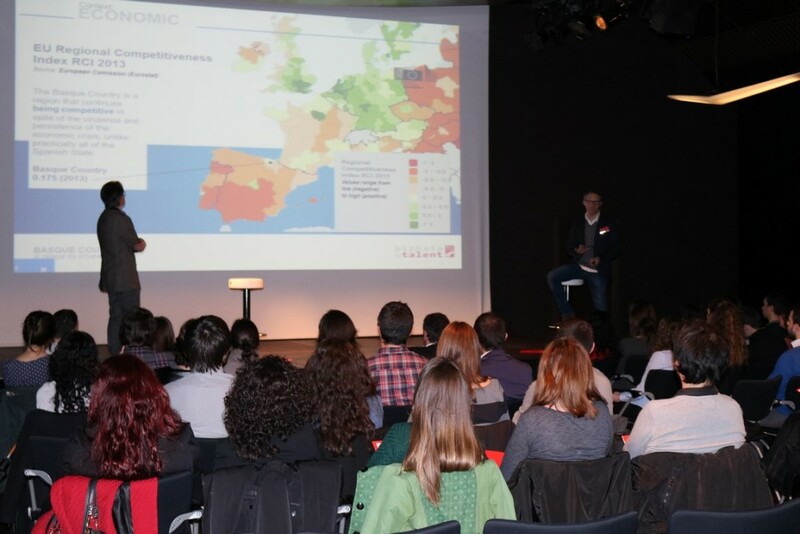 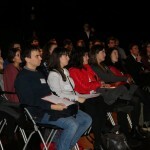 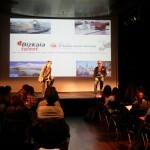 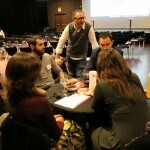 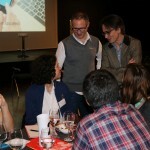 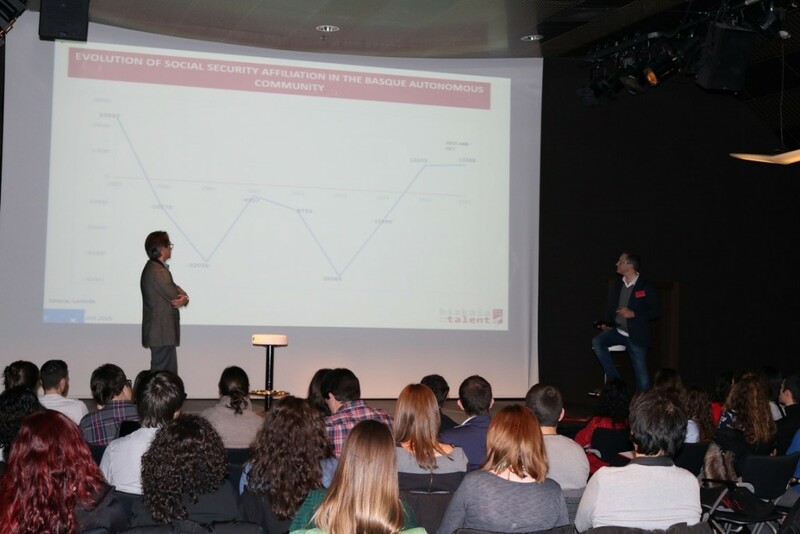 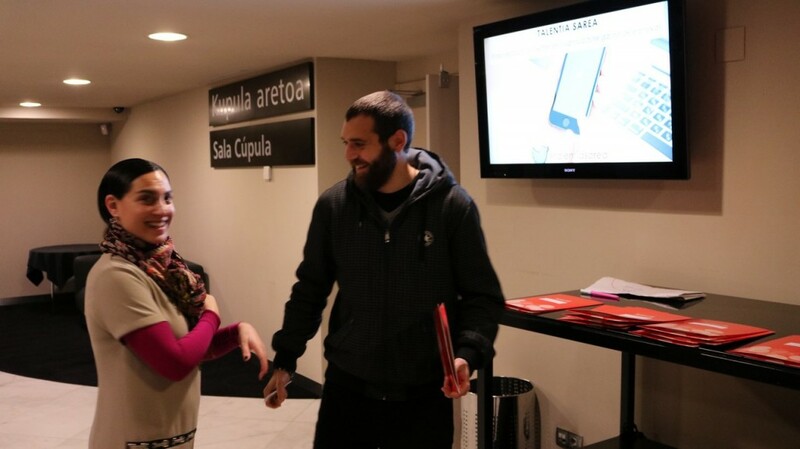 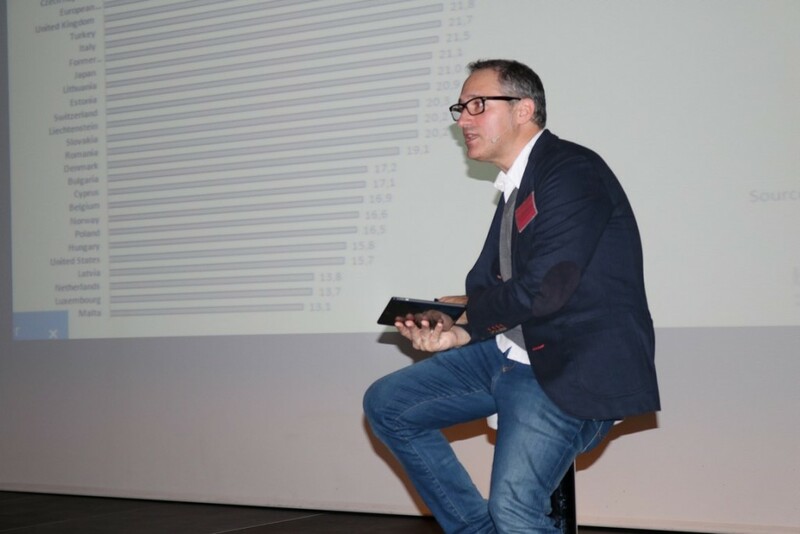 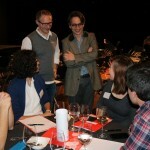 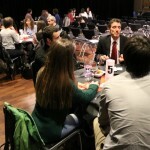 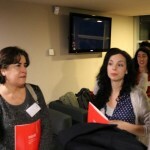 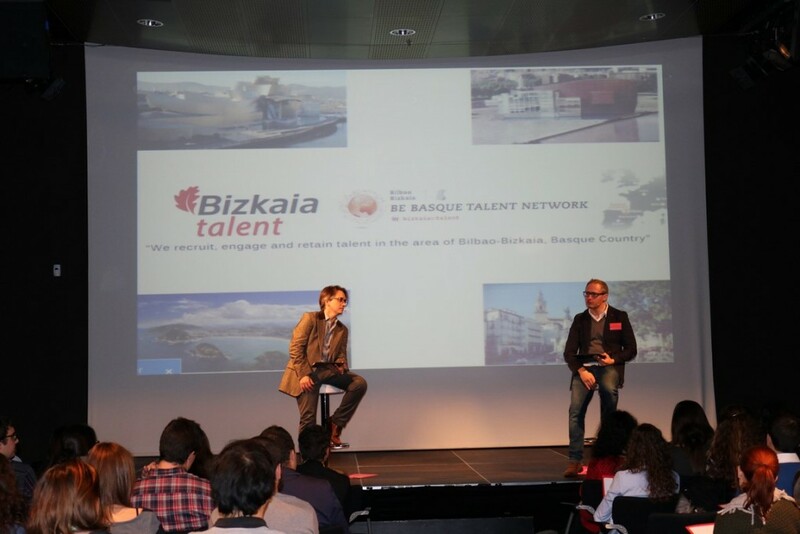 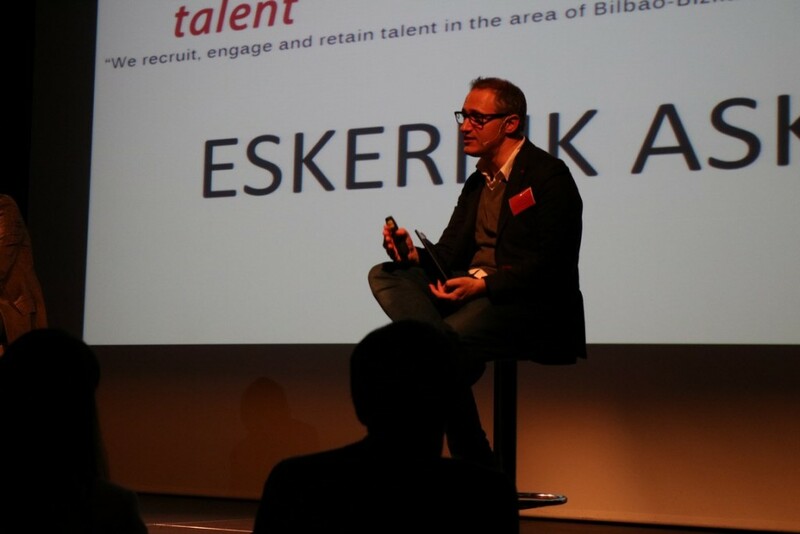 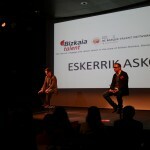 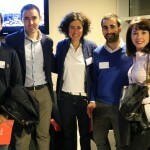 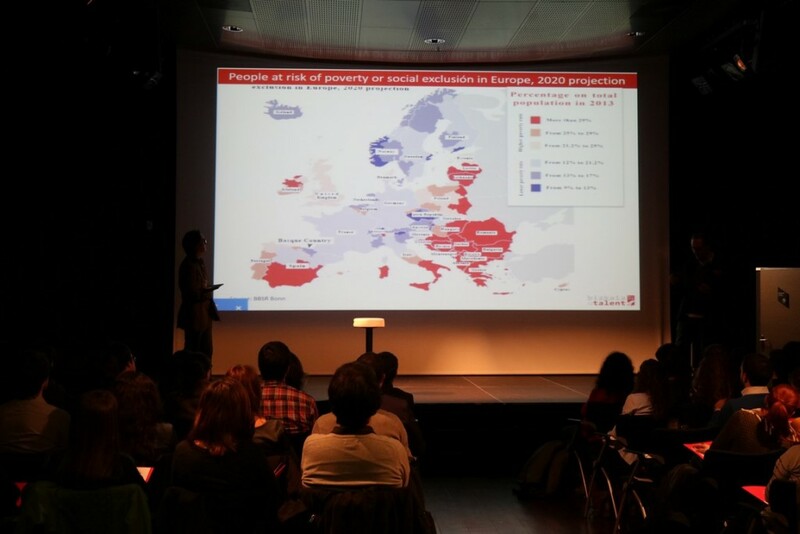 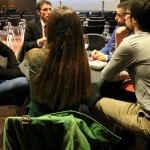 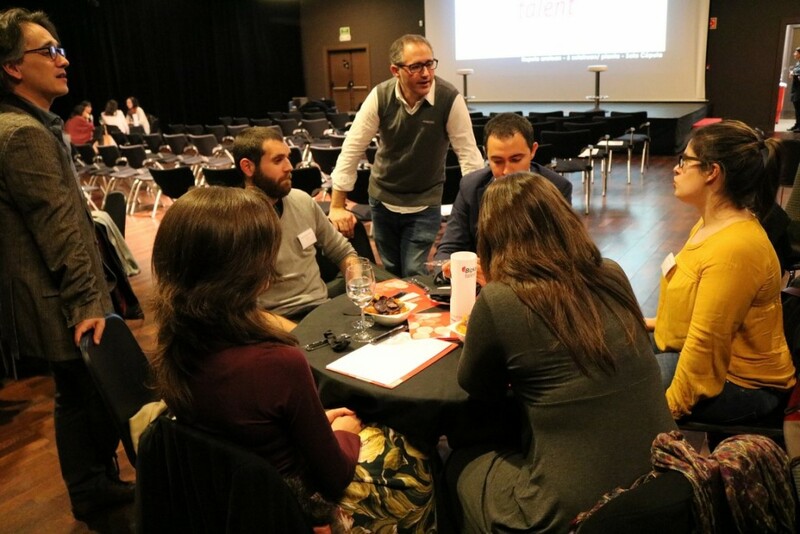 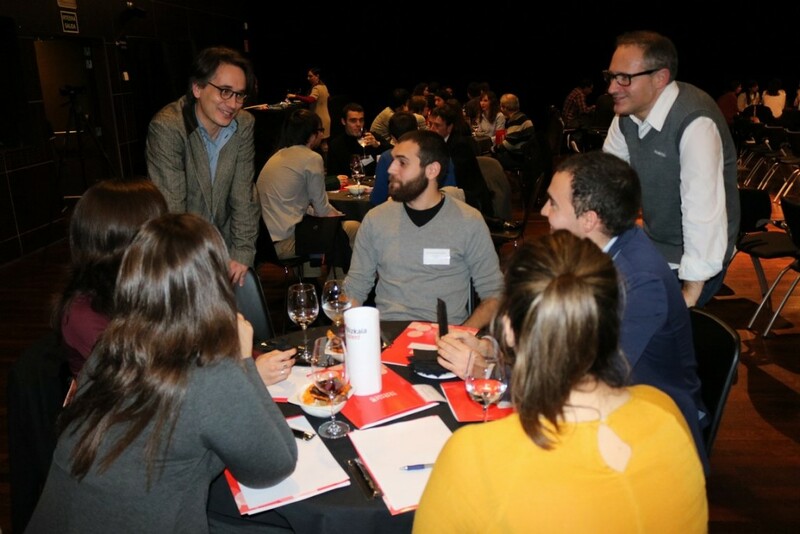 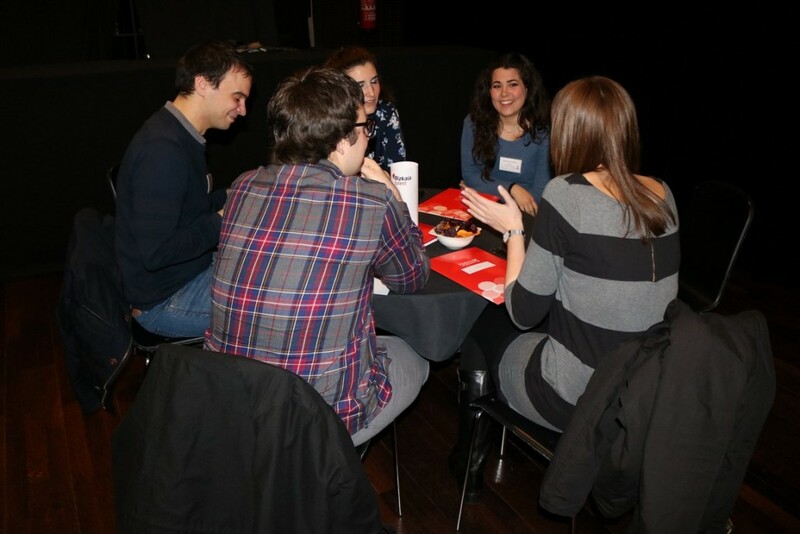 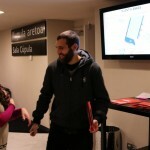 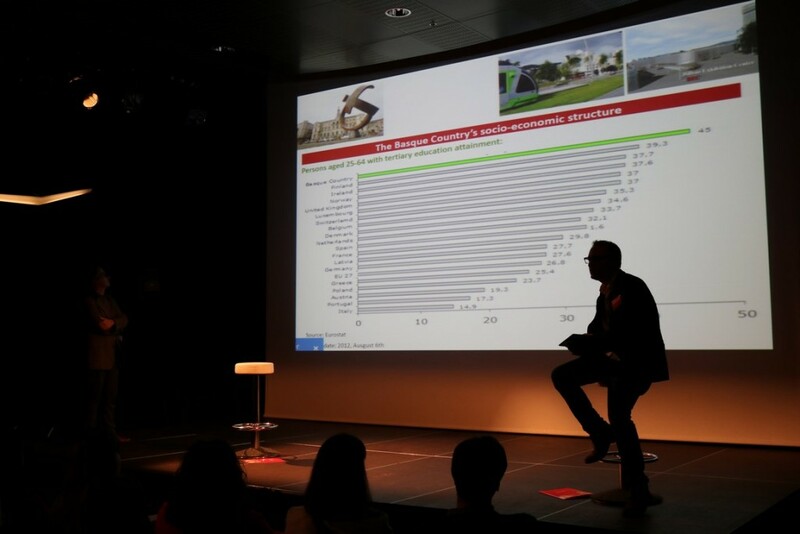 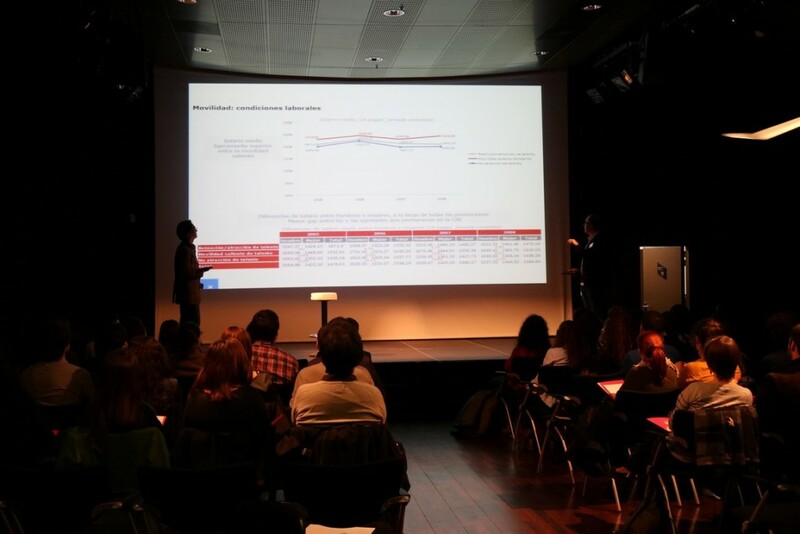 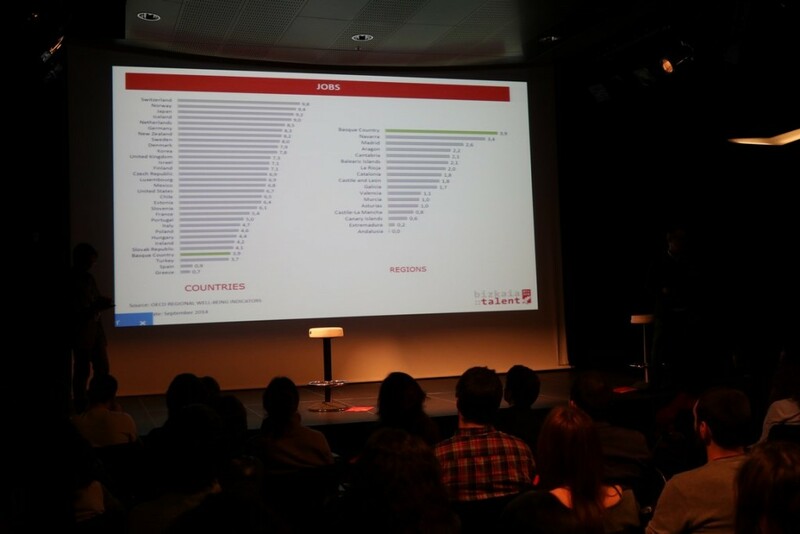 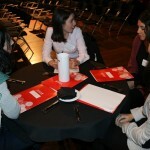 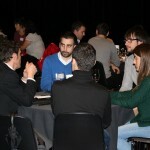 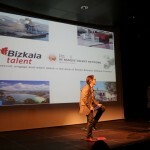 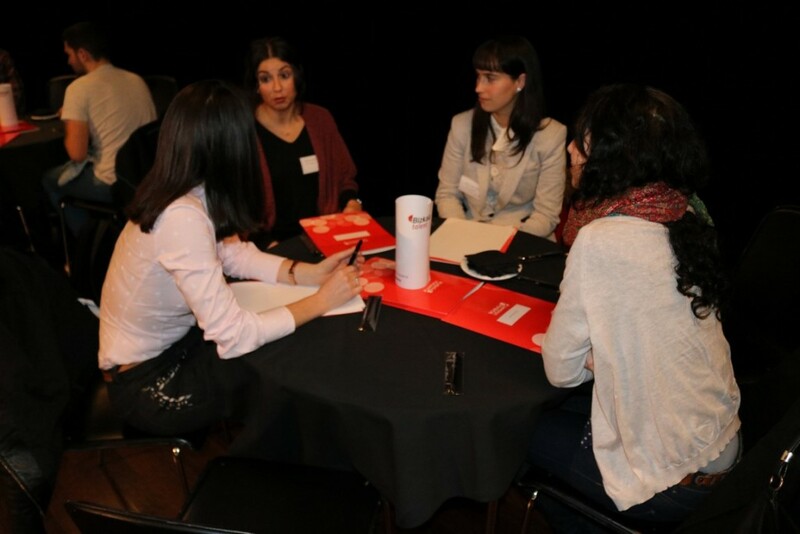 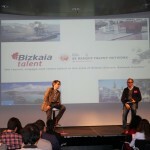 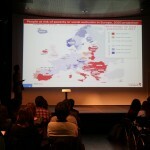 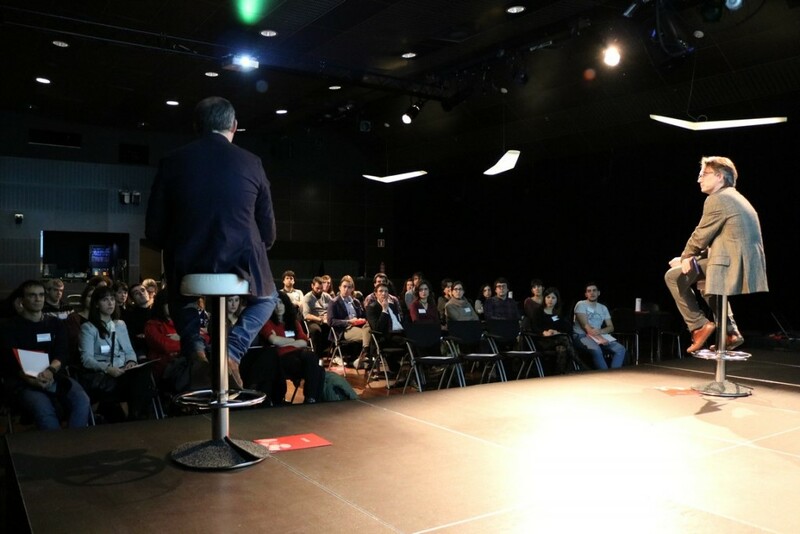 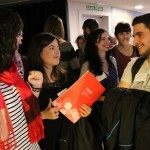 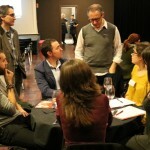 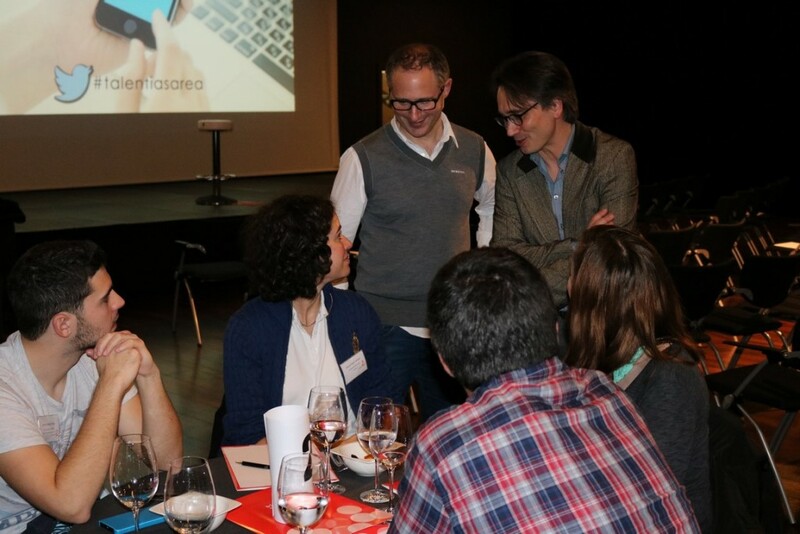 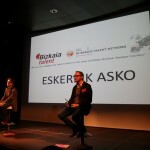 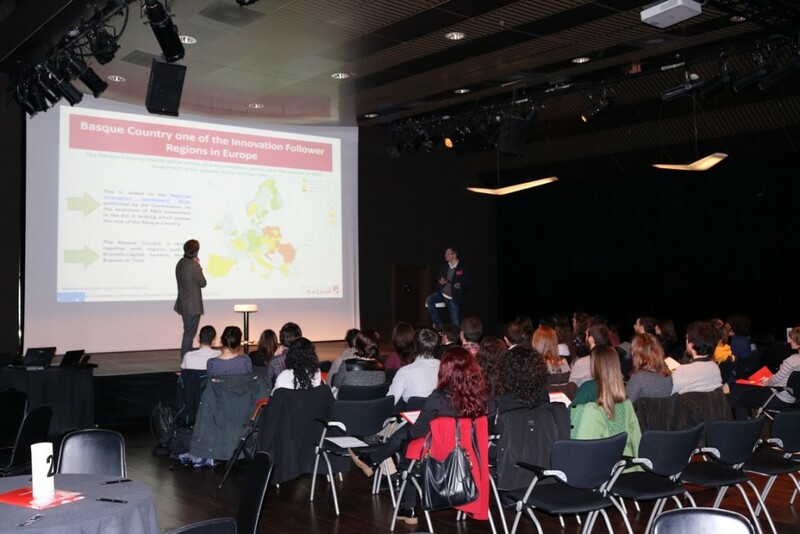 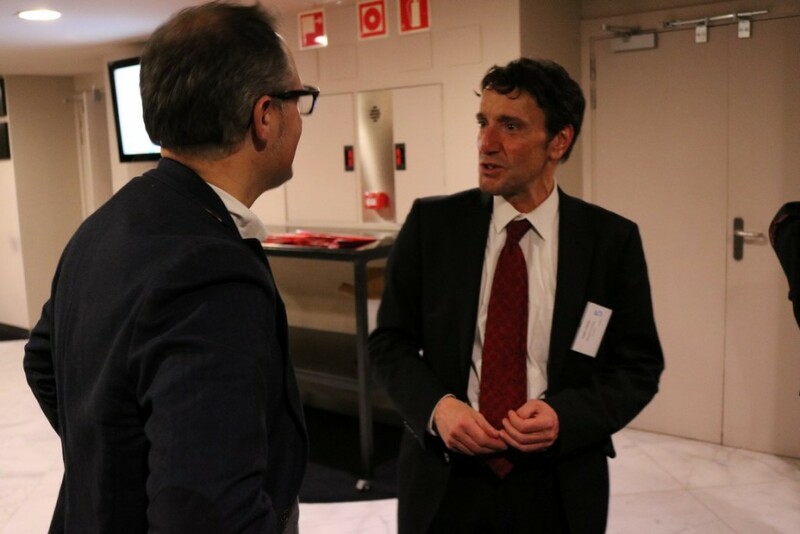 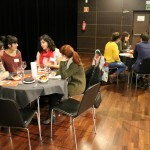 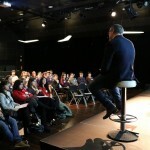 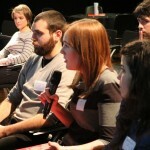 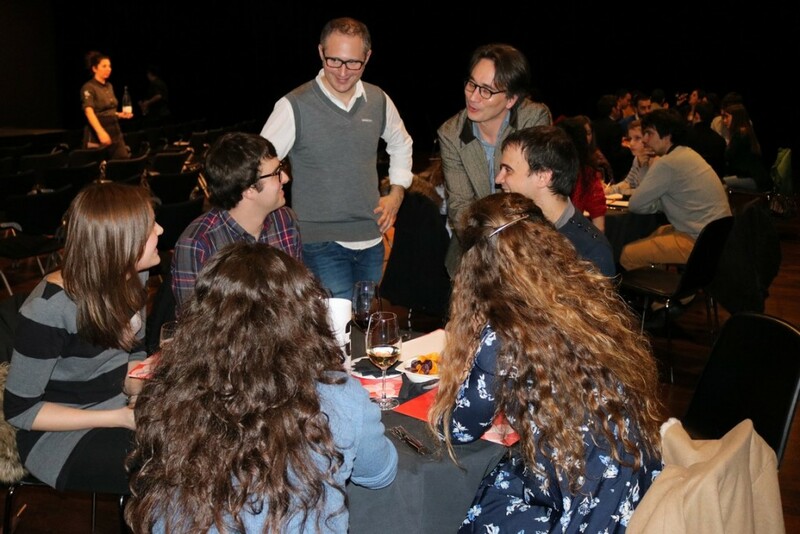 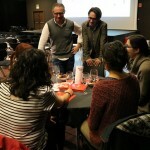 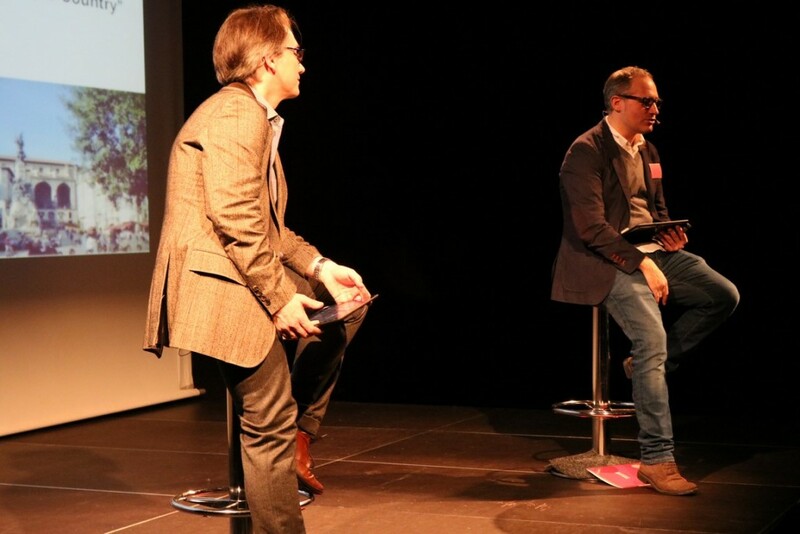 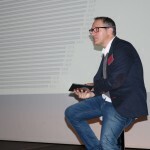 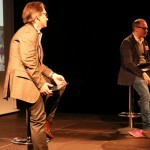 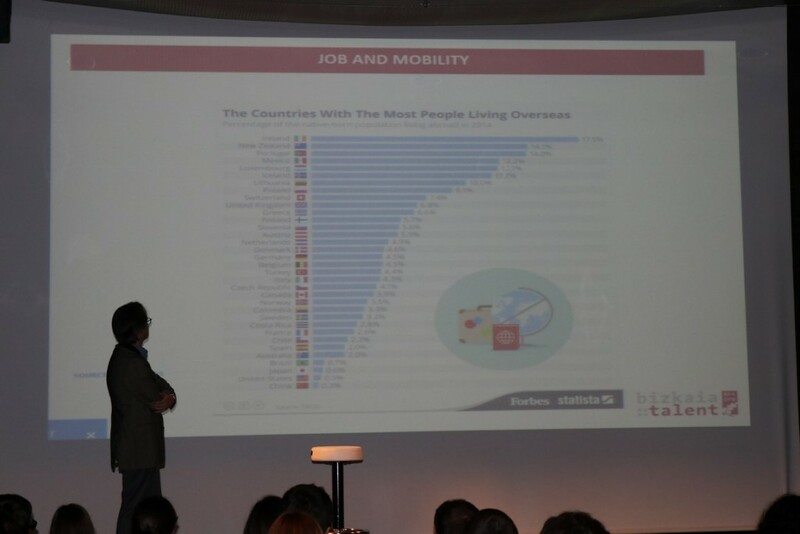 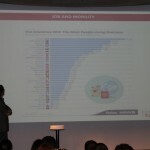 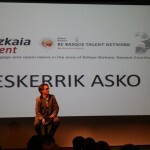 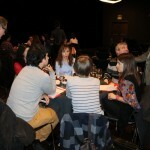 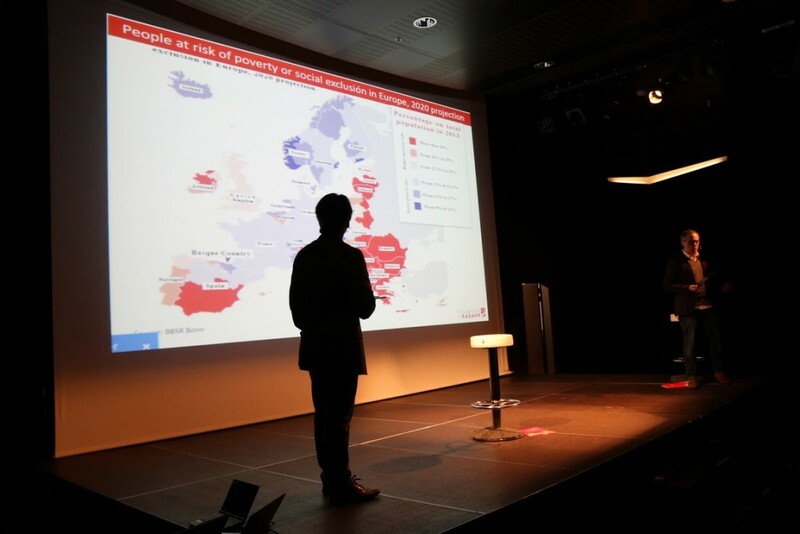 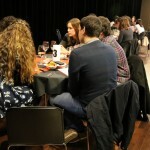 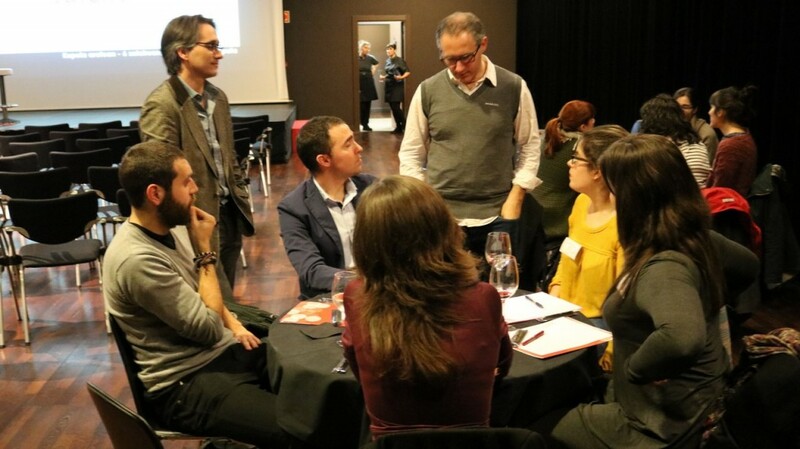 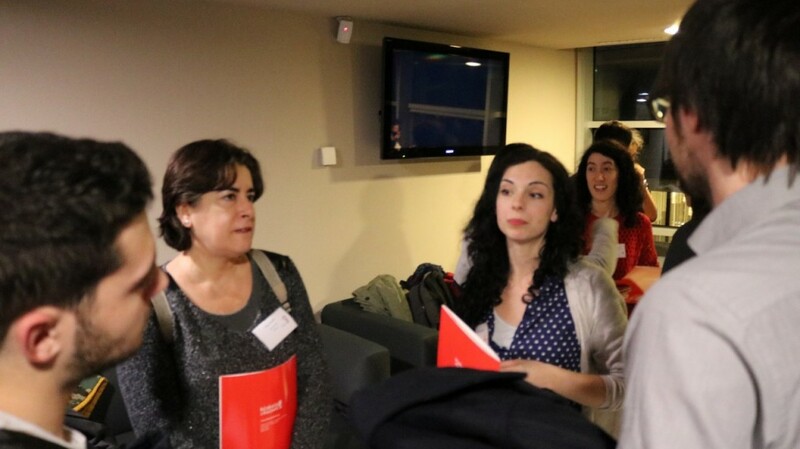 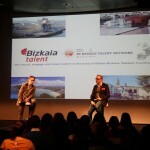 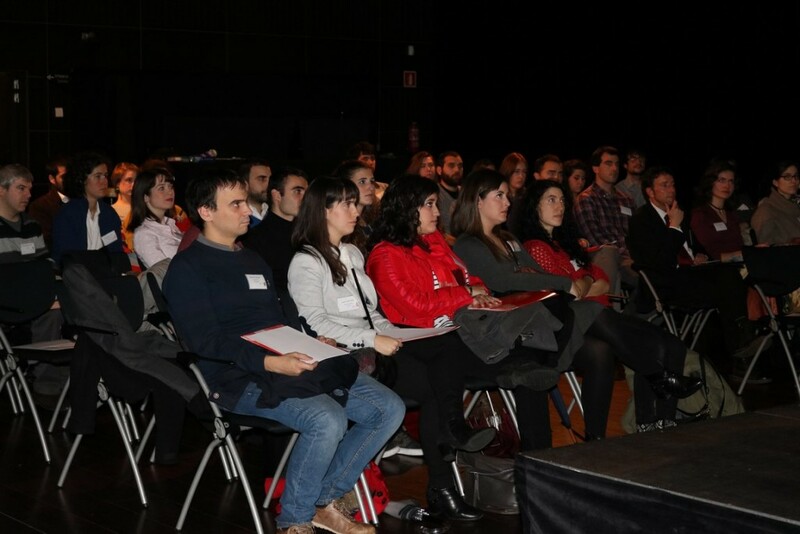 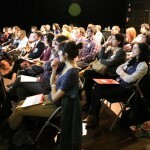 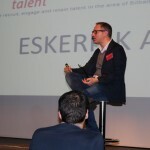 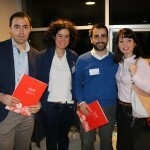 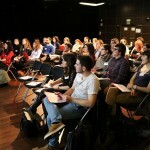 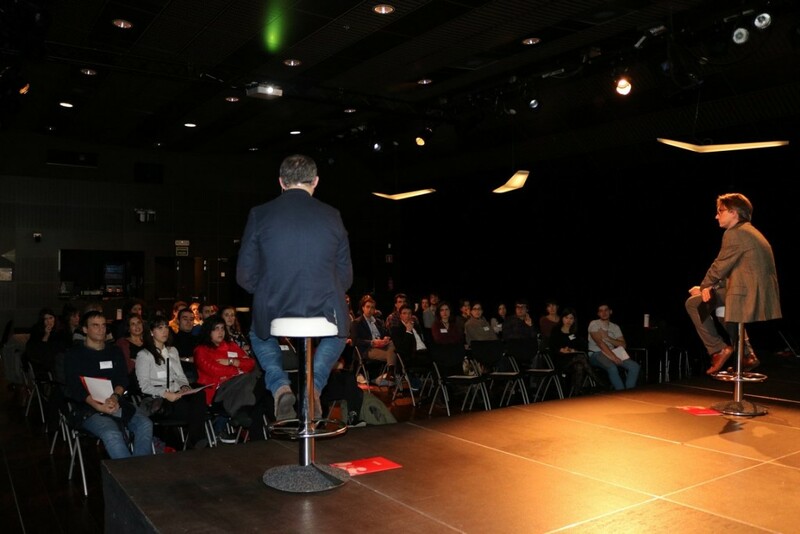 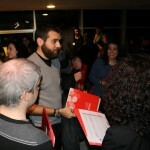 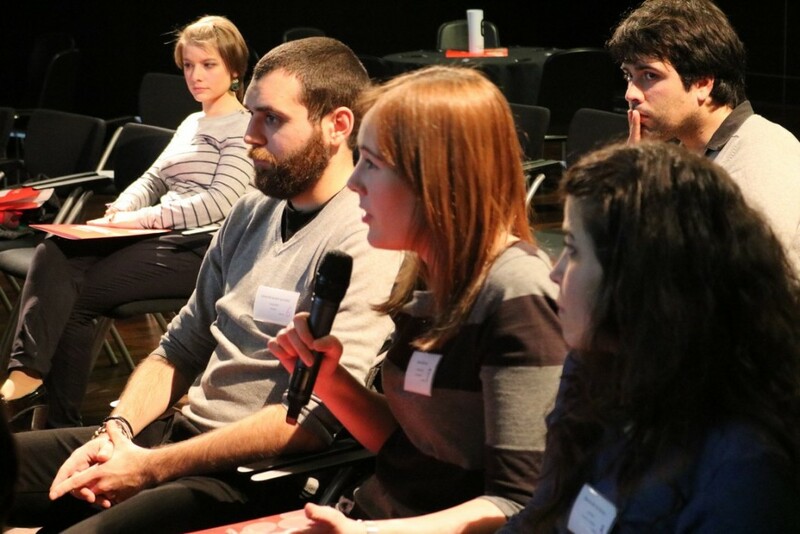 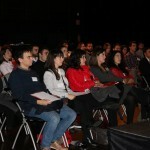 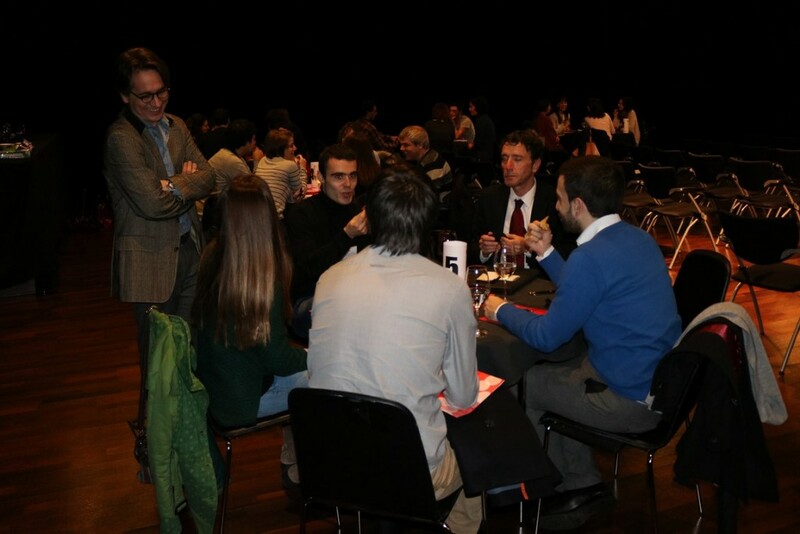 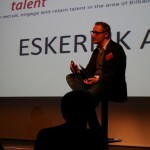 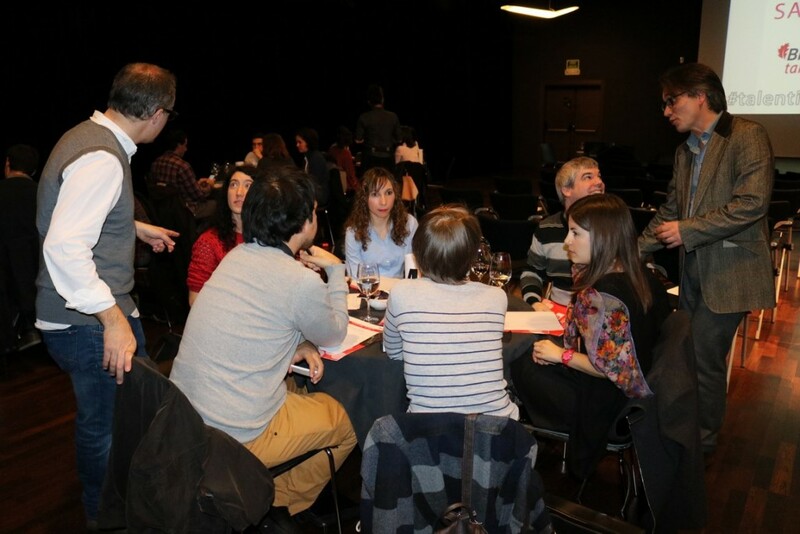 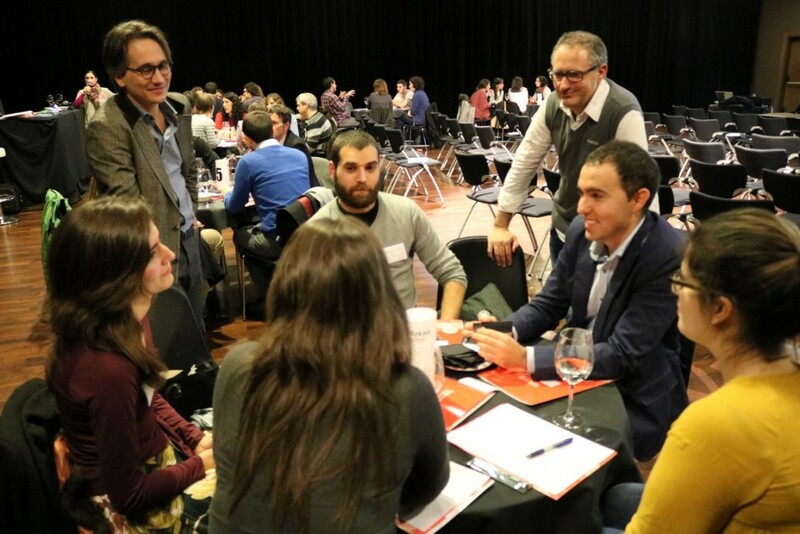 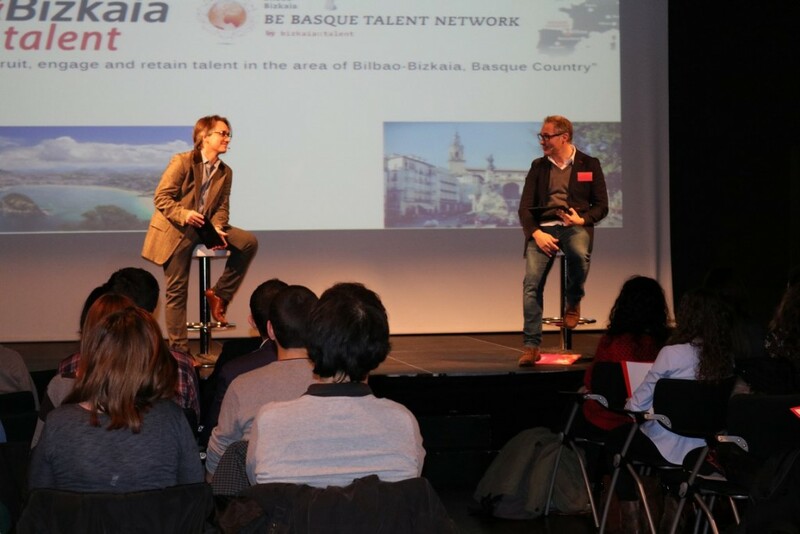 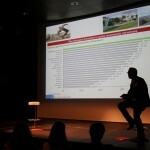 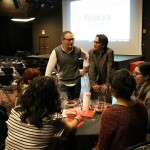 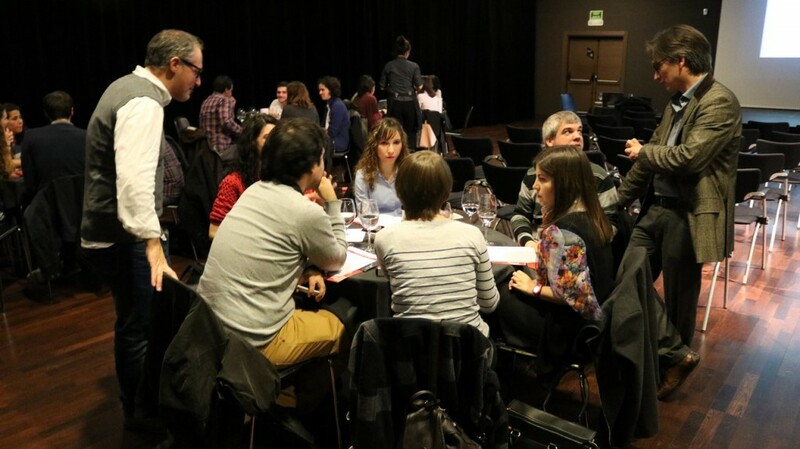 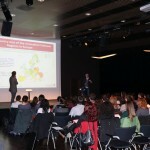 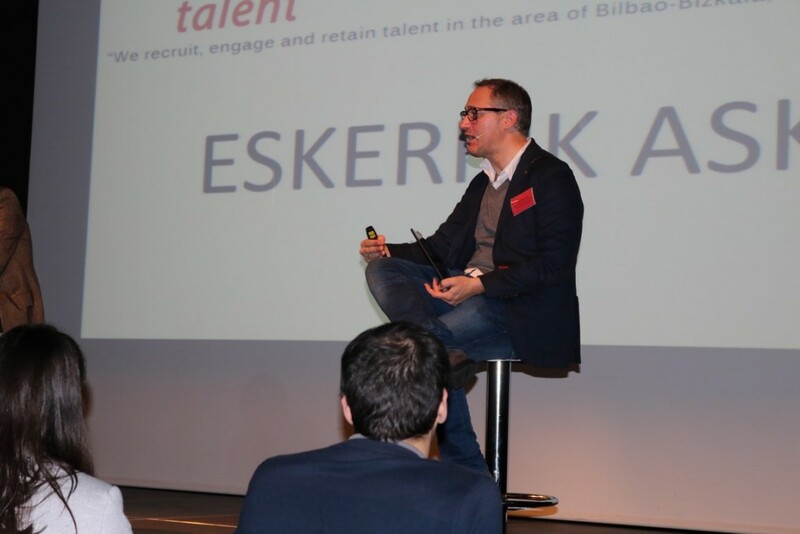 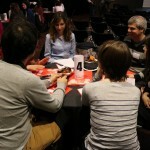 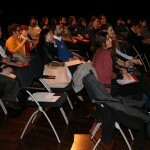 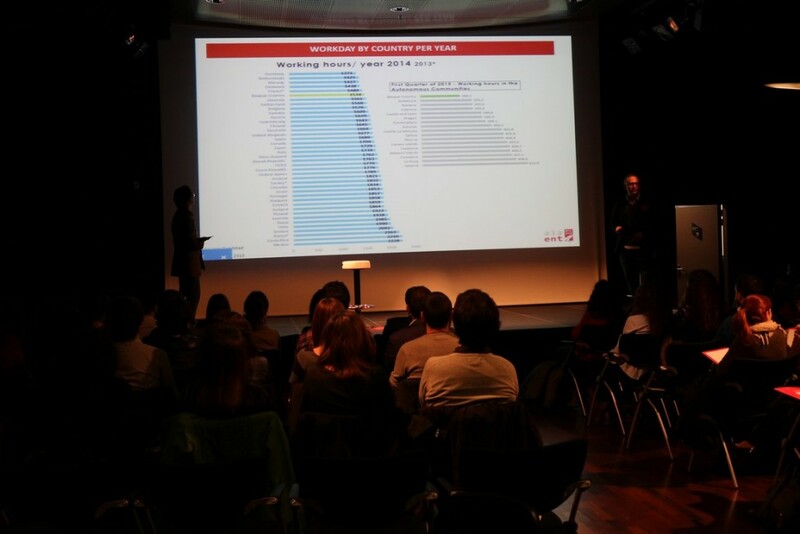 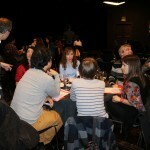 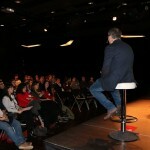 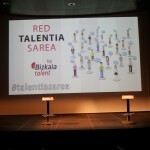 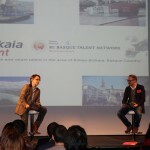 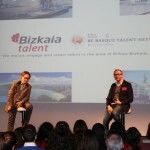 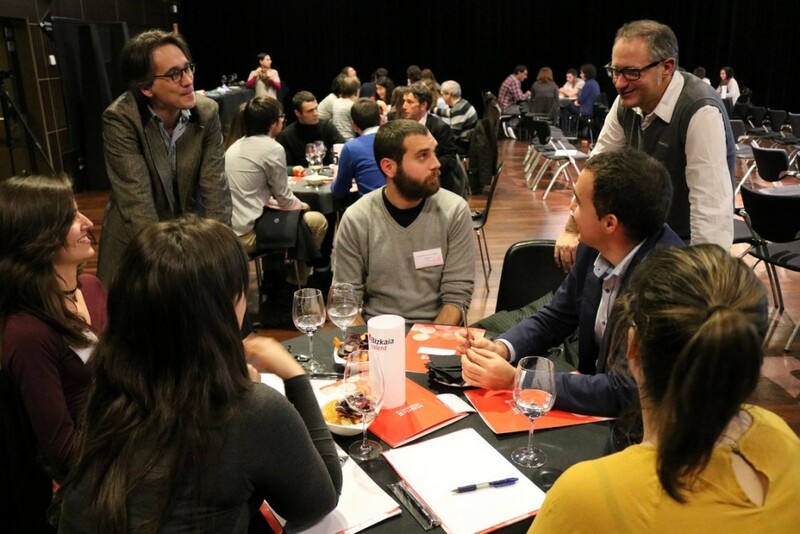 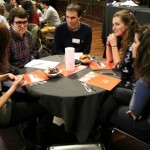 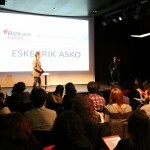 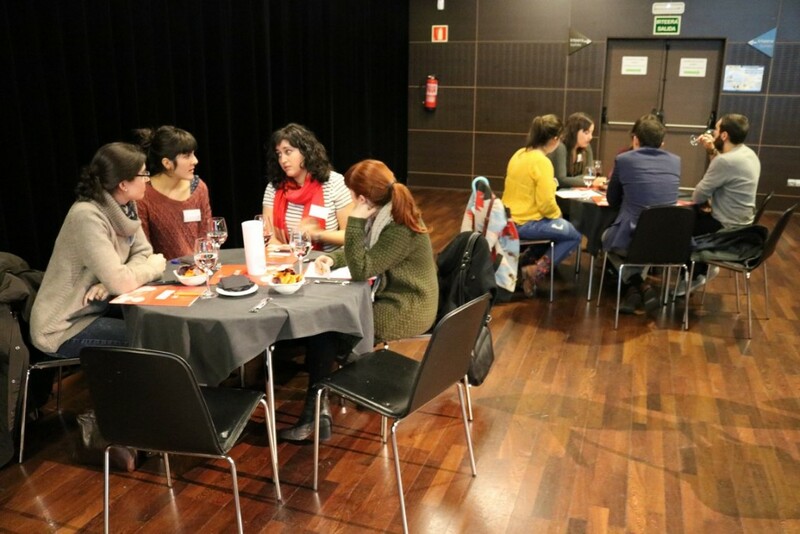 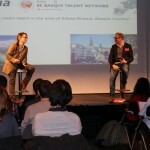 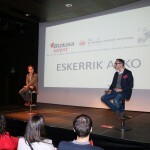 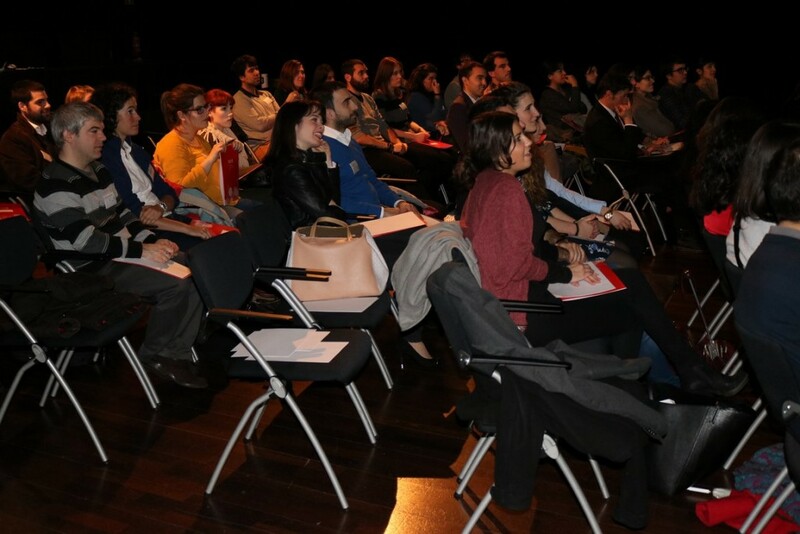 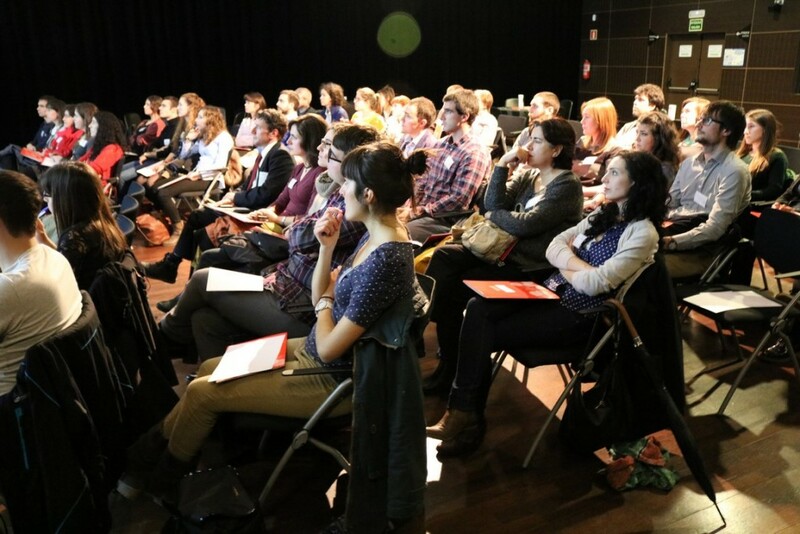 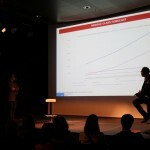 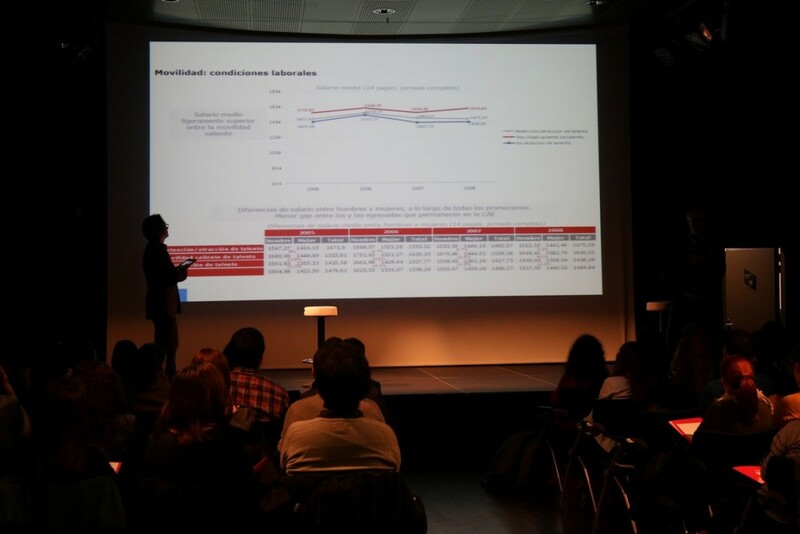 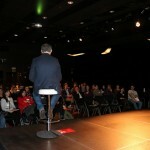 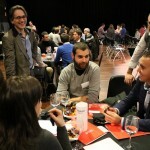 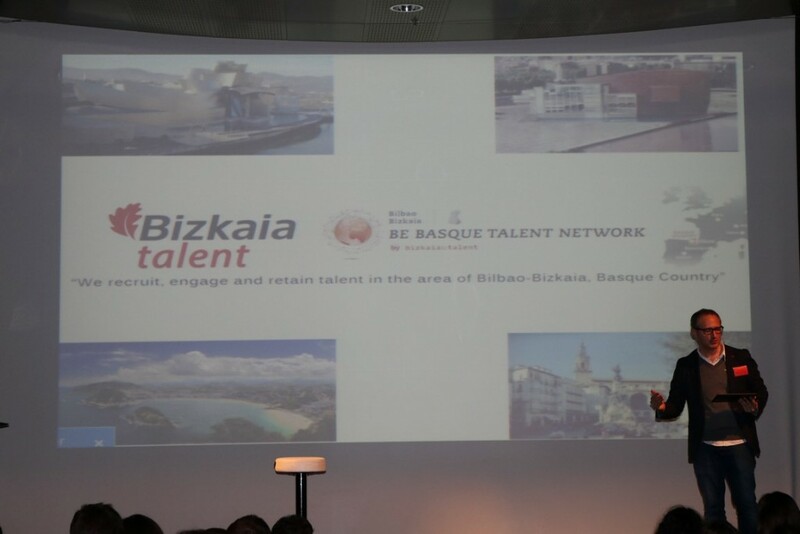 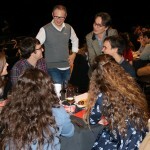 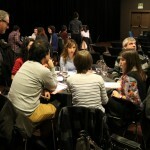 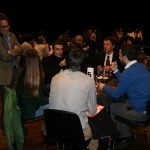 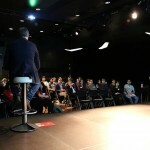 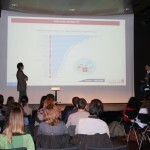 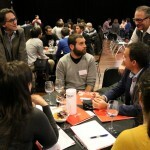 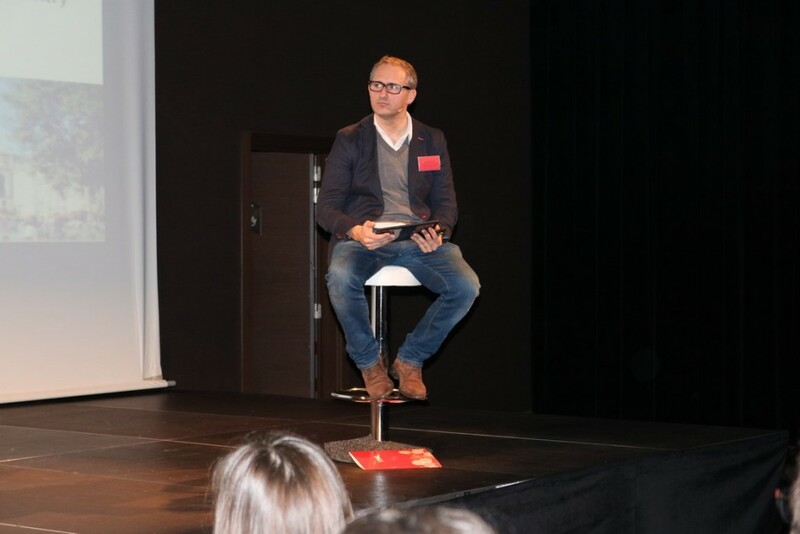 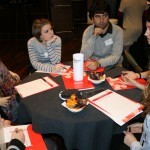 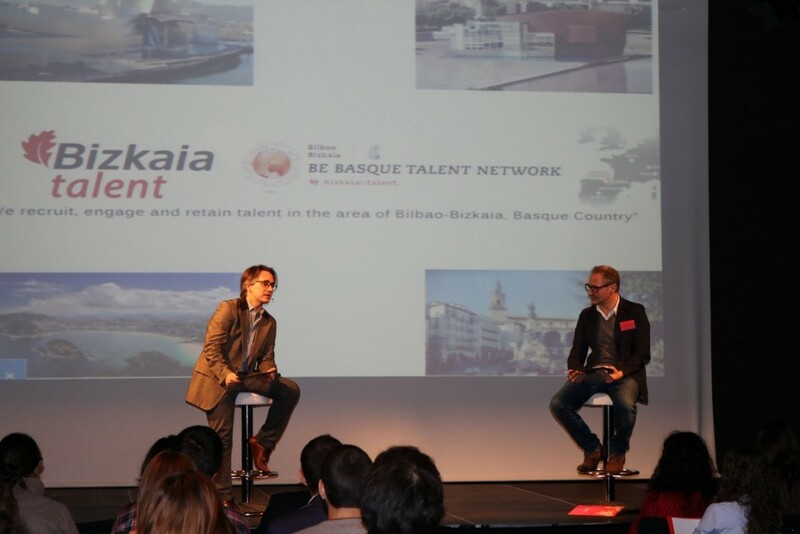 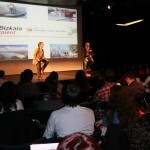 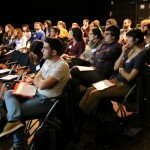 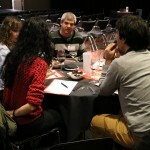 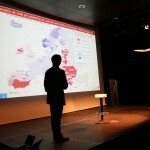 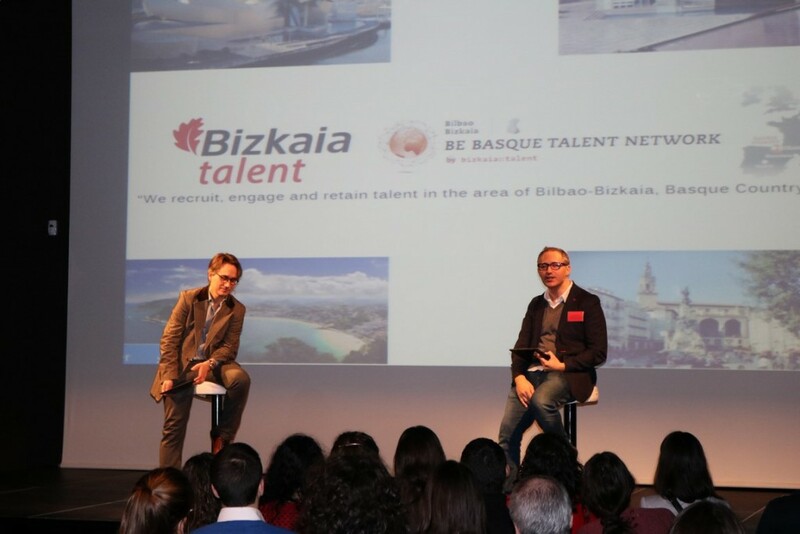 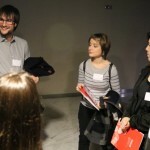 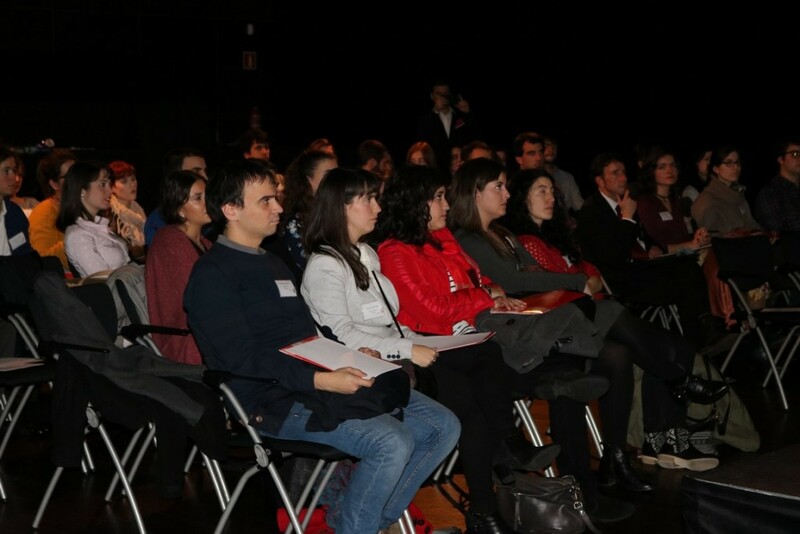 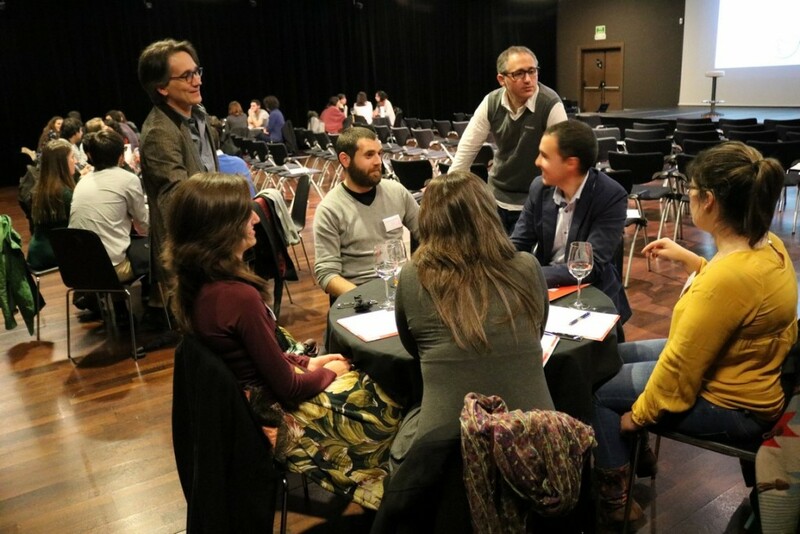 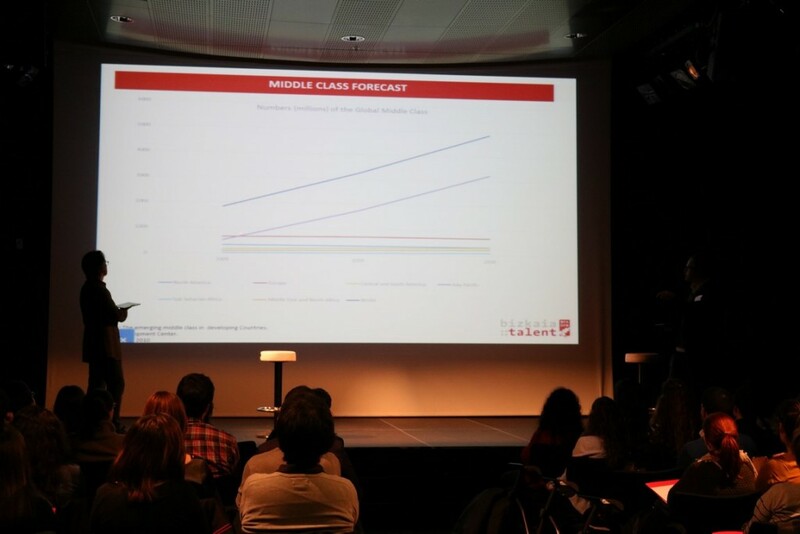 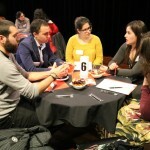 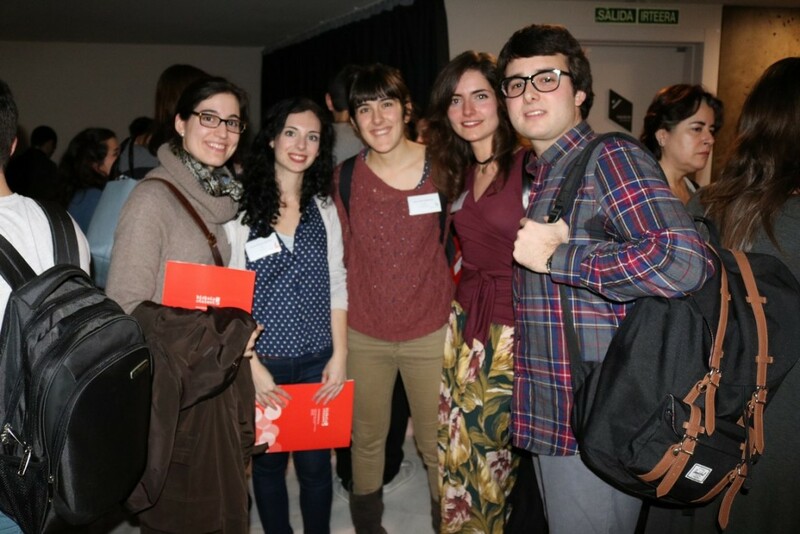 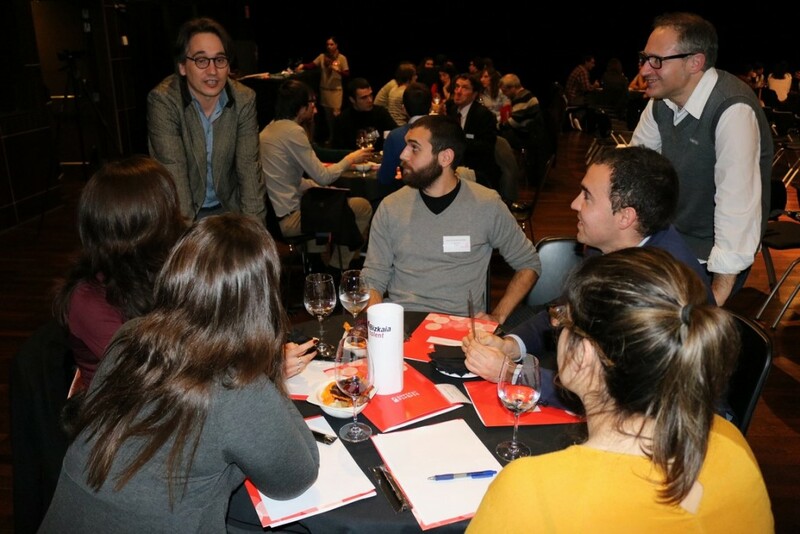 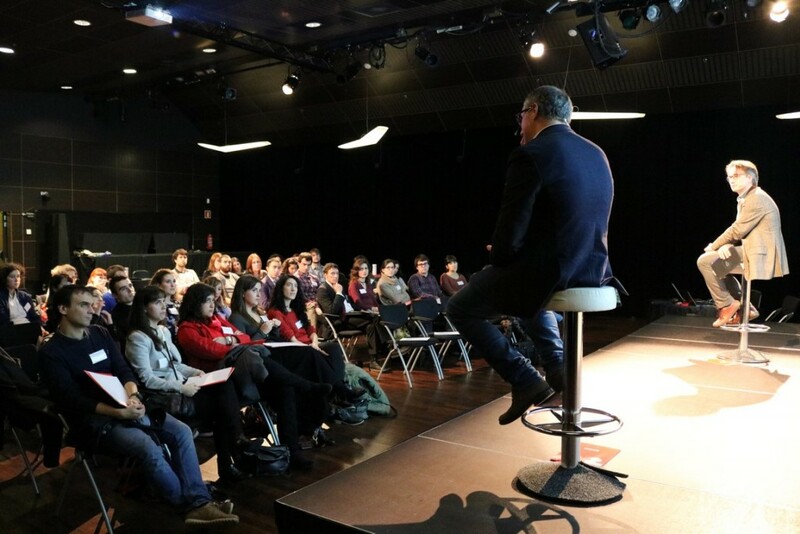 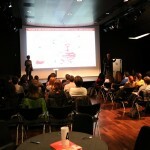 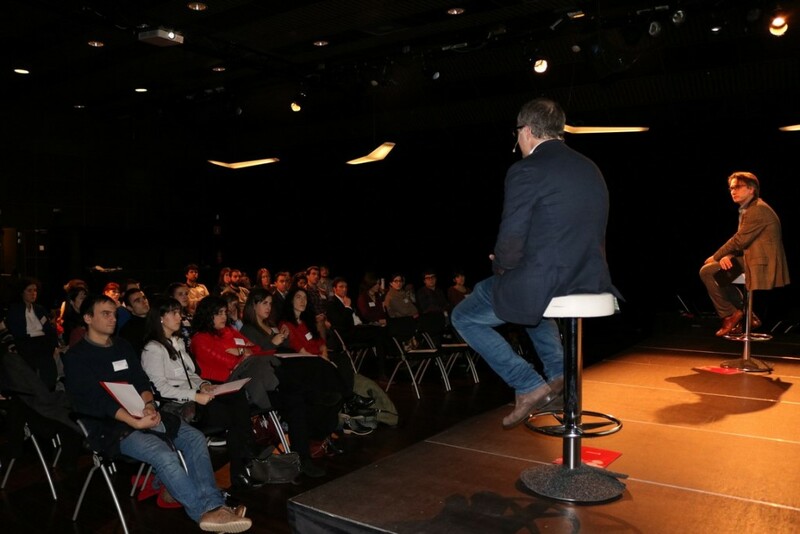 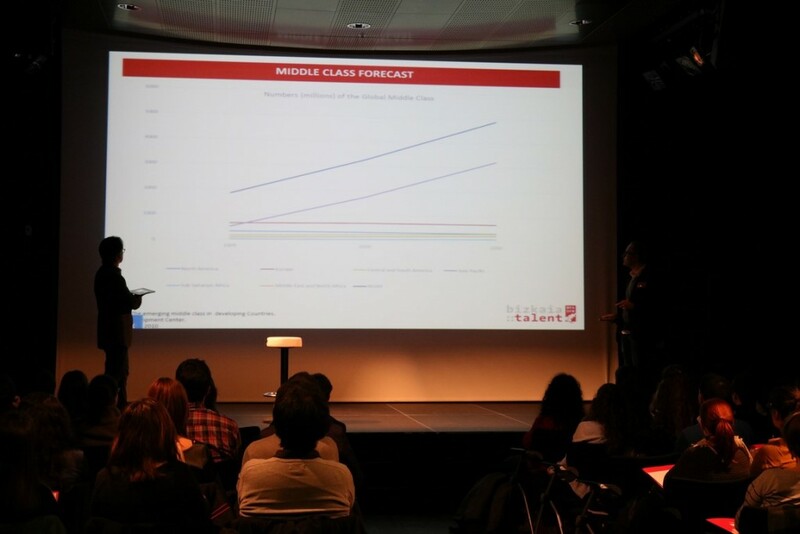 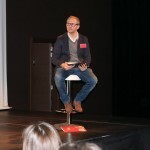 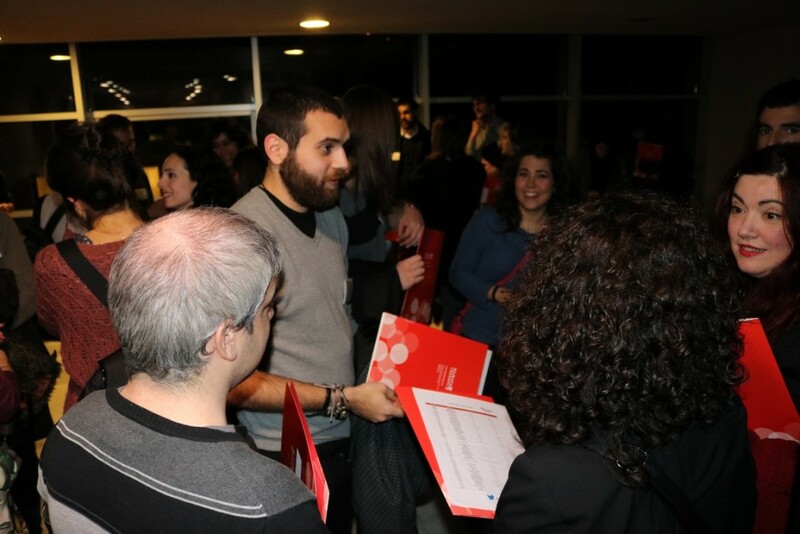 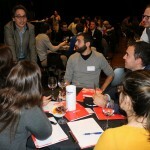 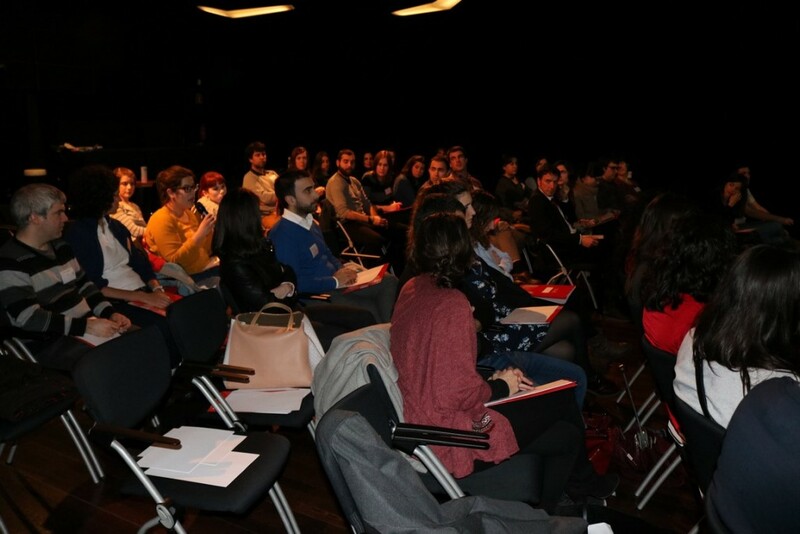 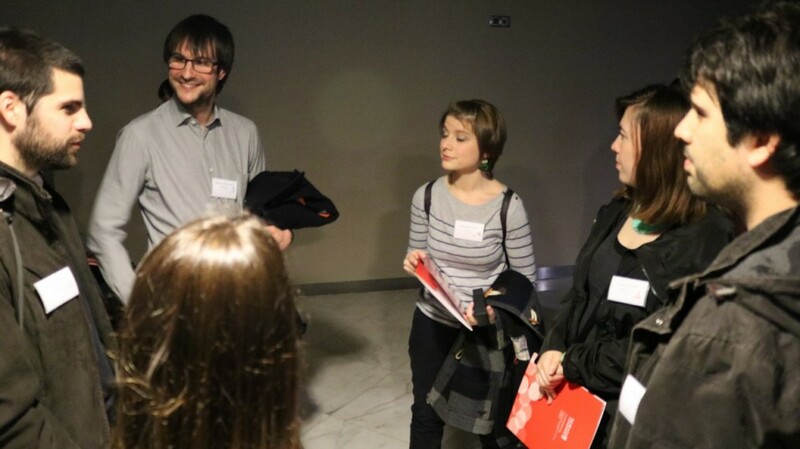 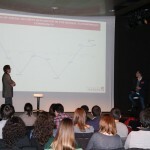 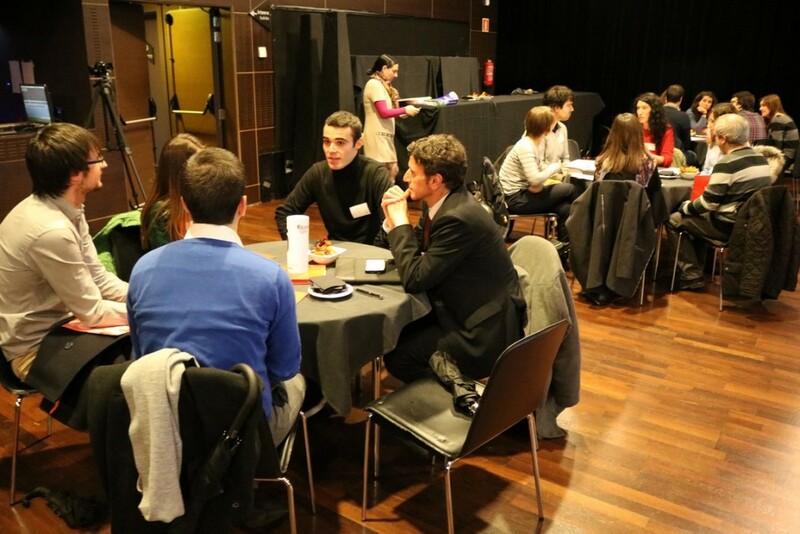 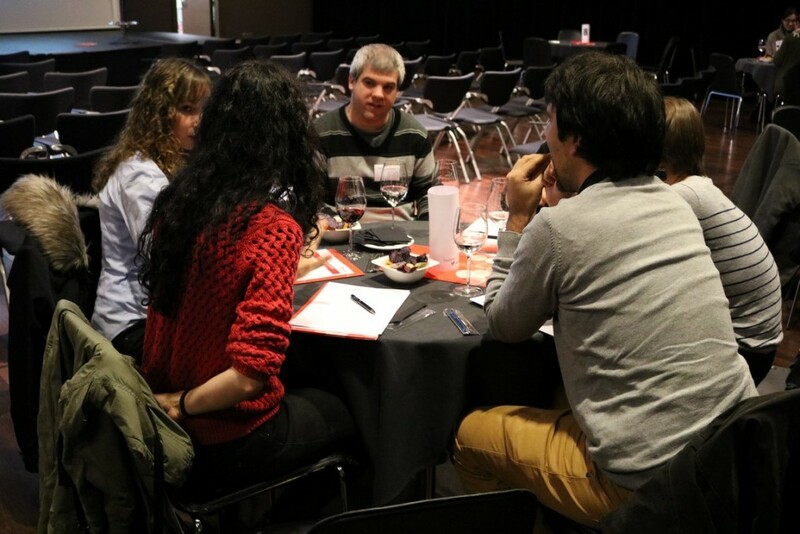 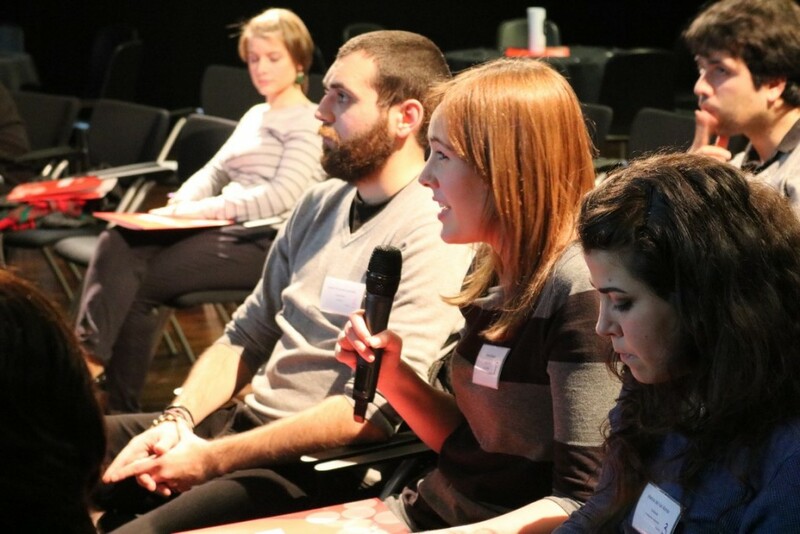 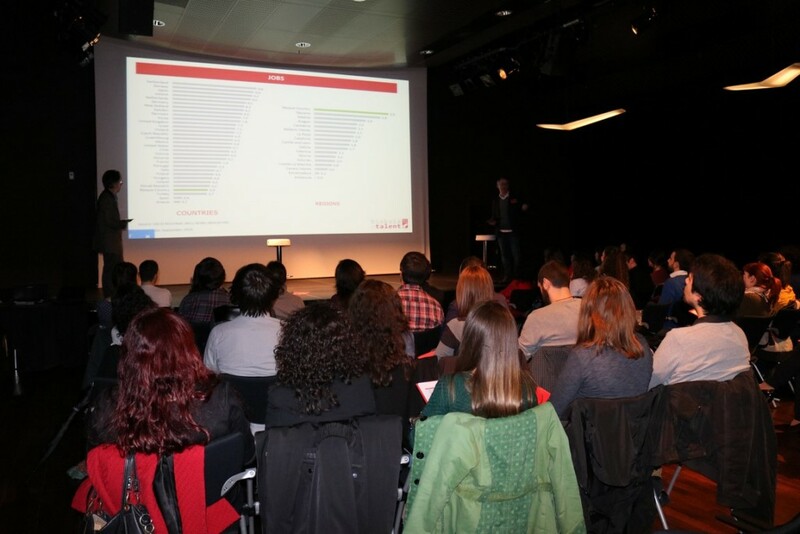 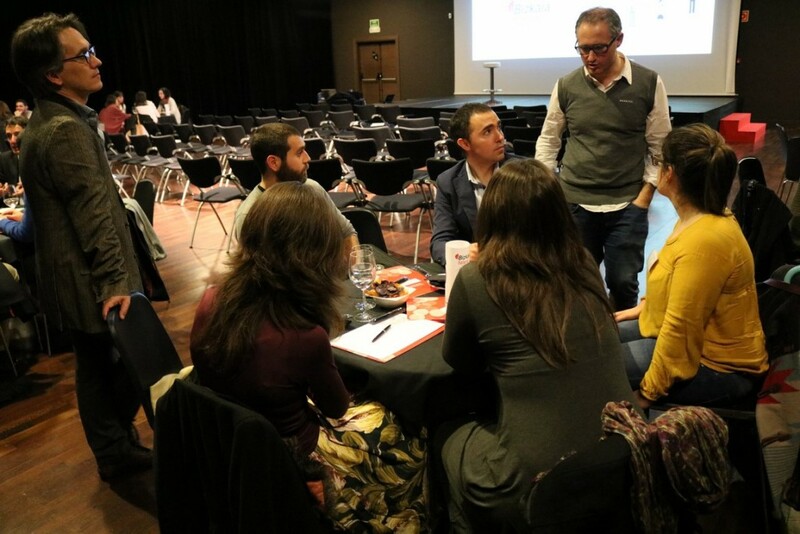 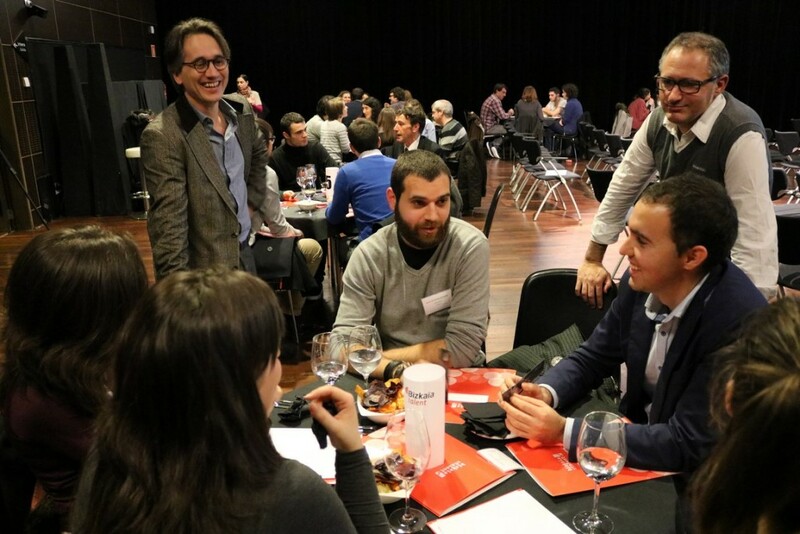 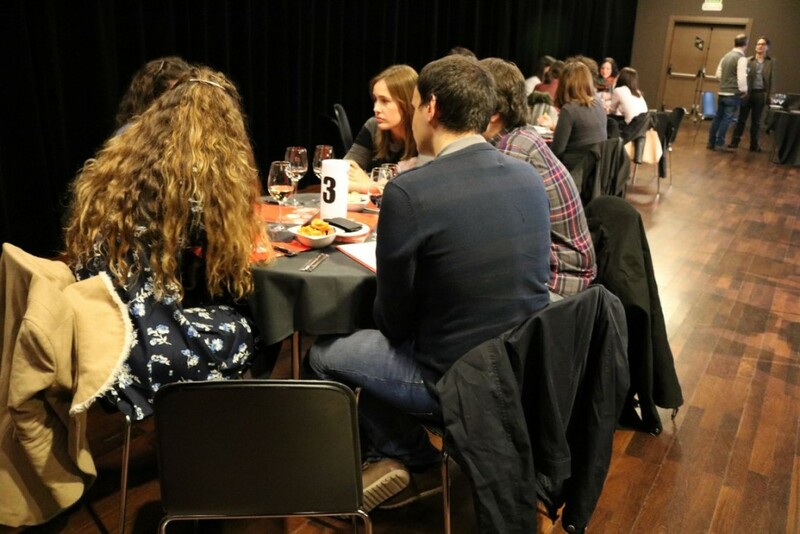 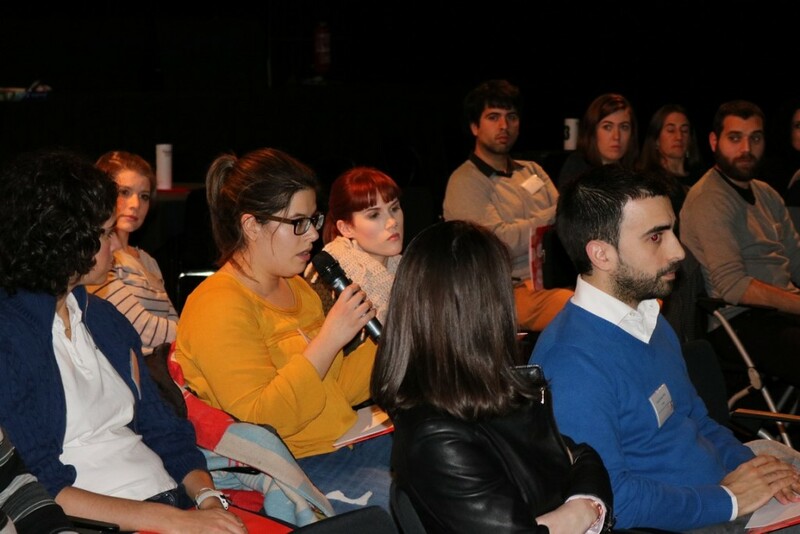 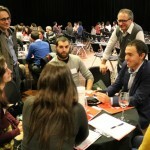 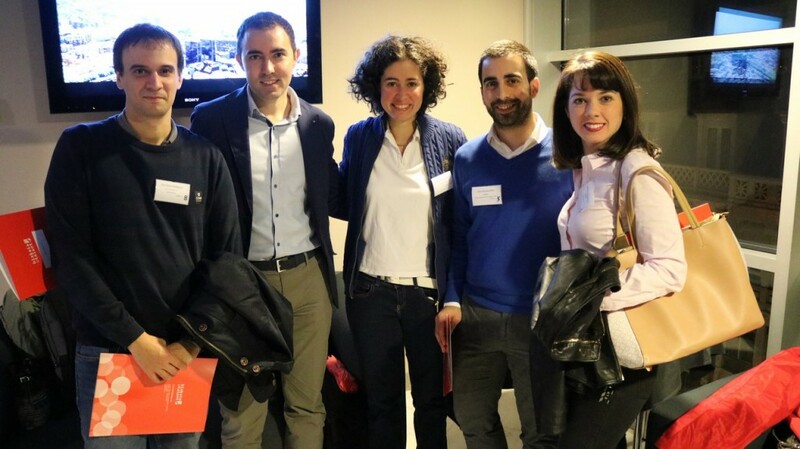 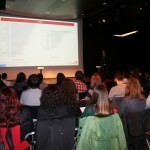 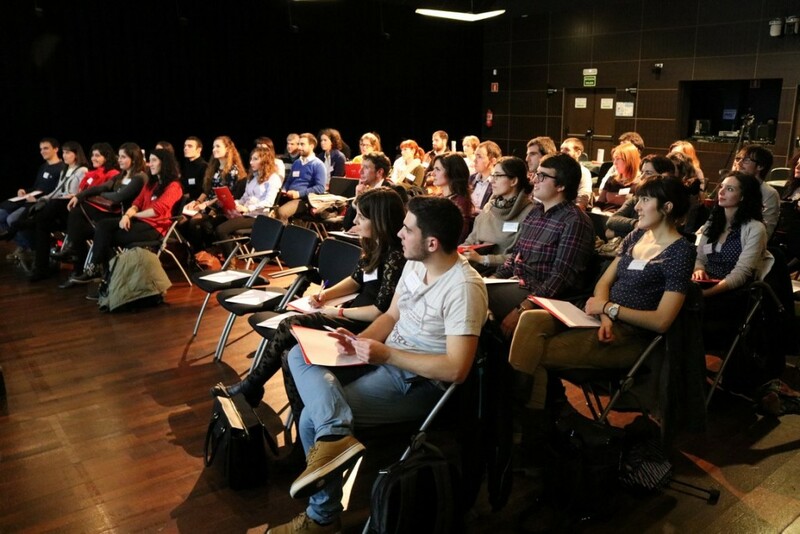 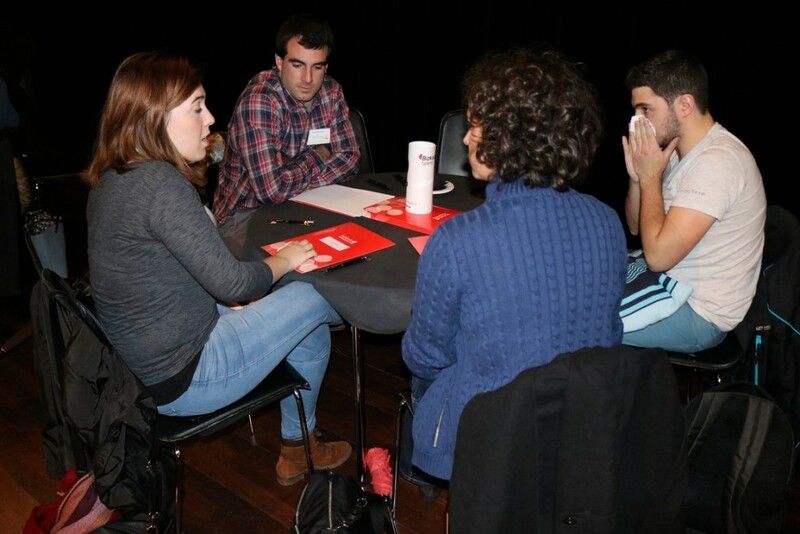 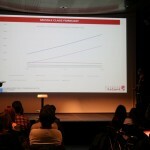 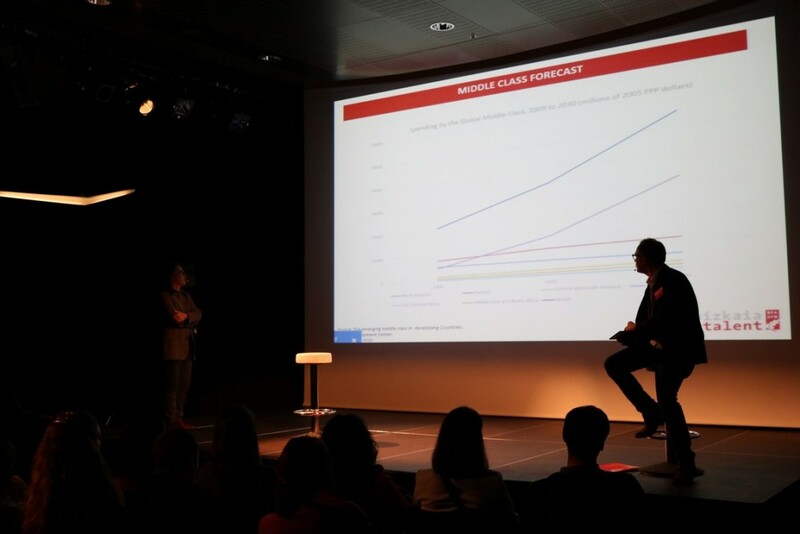 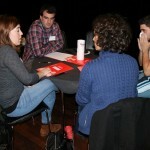 The TALENTIA NETWORK event was held at the Campos Eliseos Theatre in Bilbao and was attended by Asier Alea, External Promotion and Tourism Director of the Provincial Council of Biscay, Ivan Jimenez, managing director of bizkaia:talent and over fifty attendees with different profiles and professional experience. 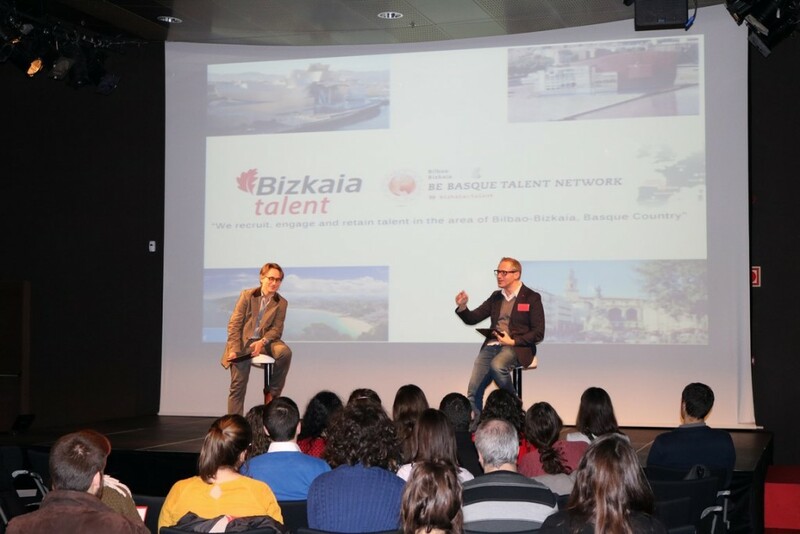 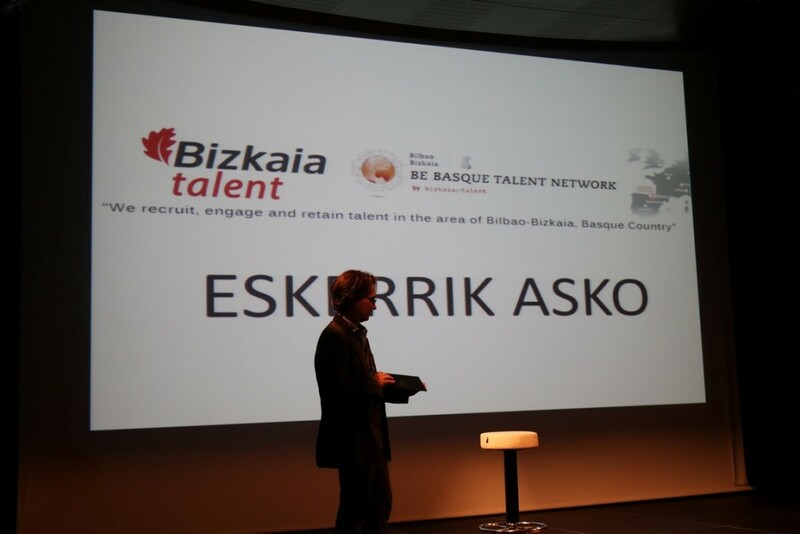 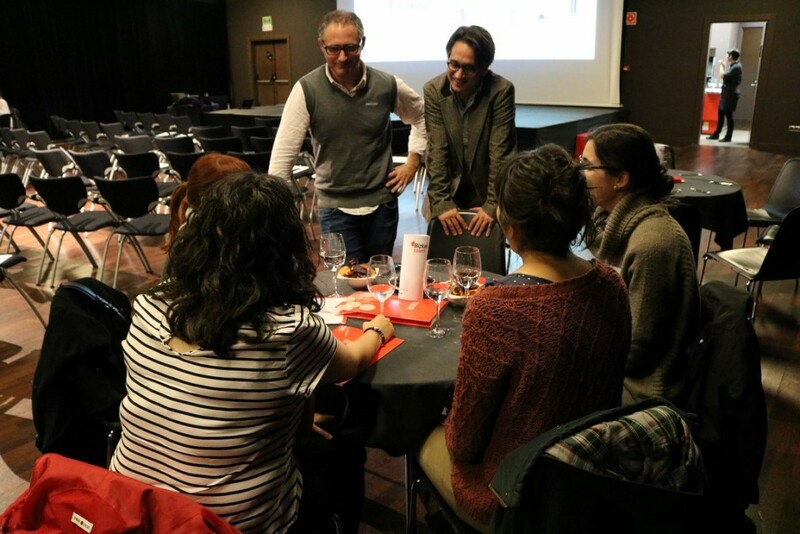 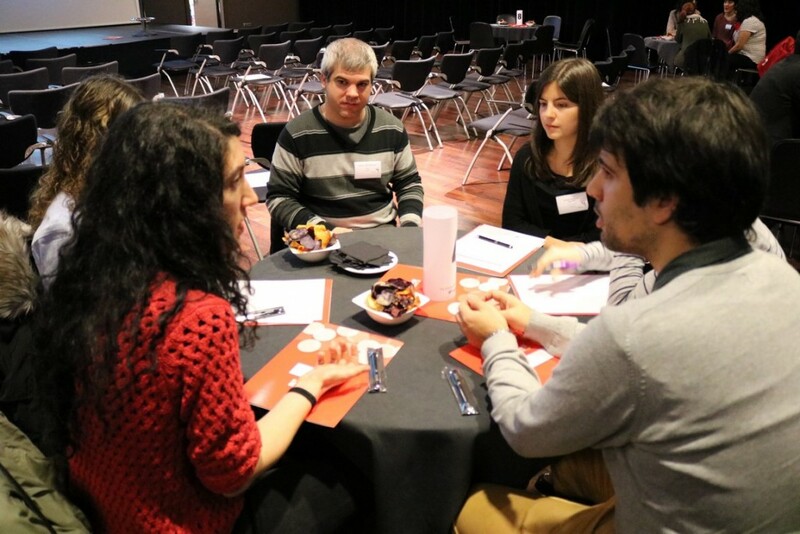 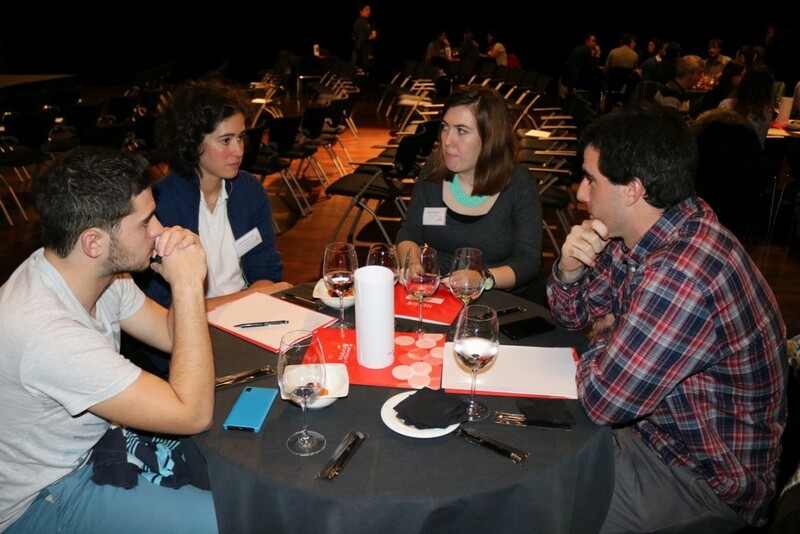 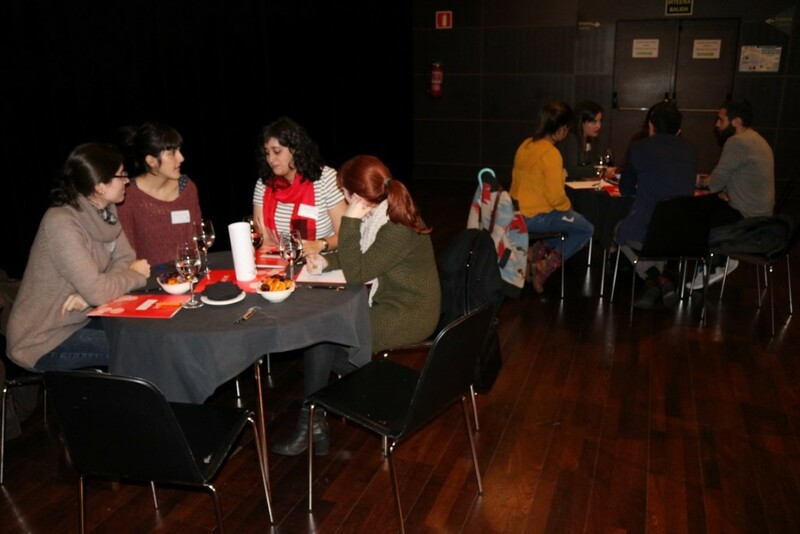 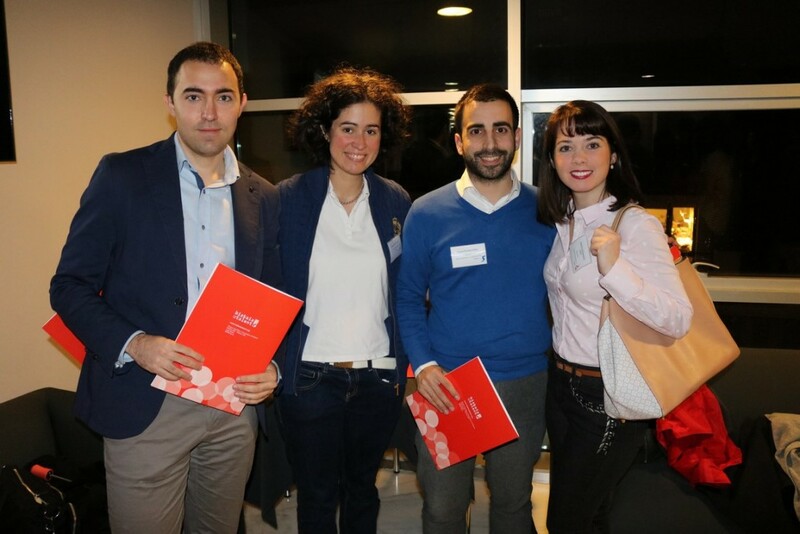 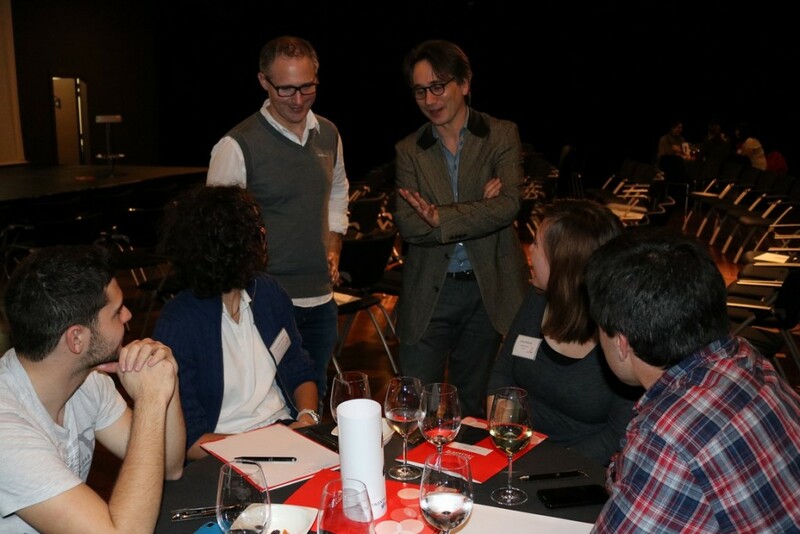 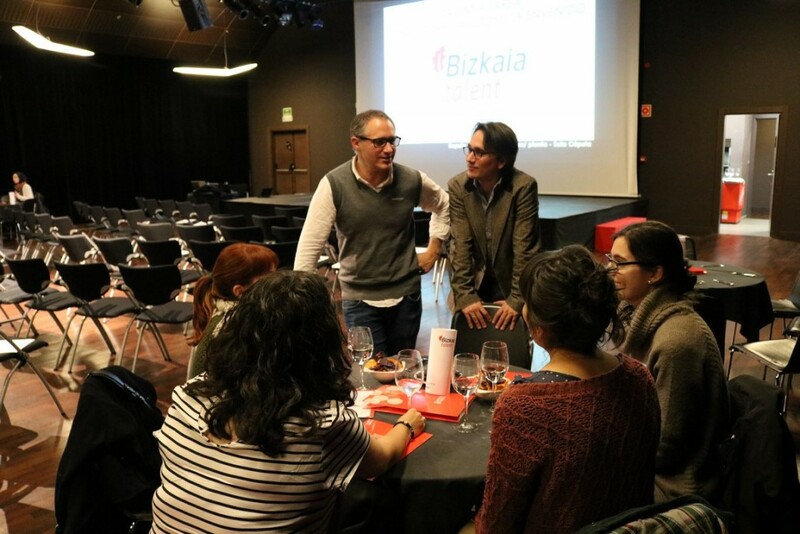 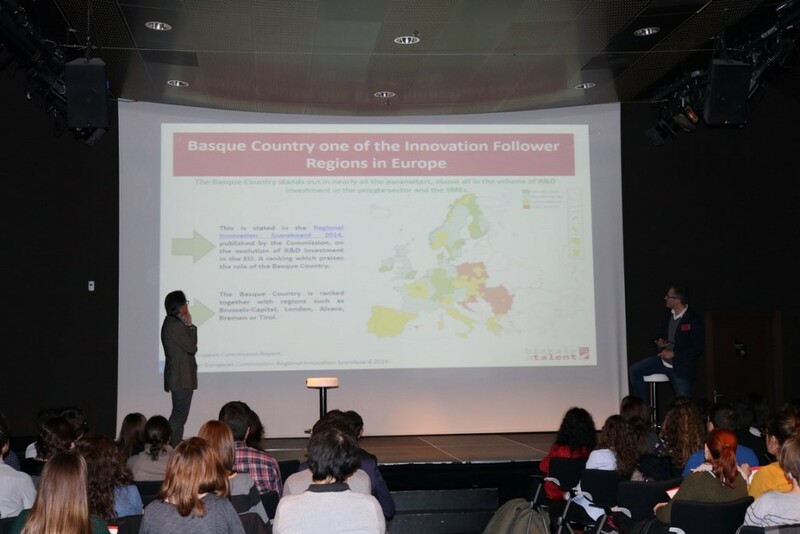 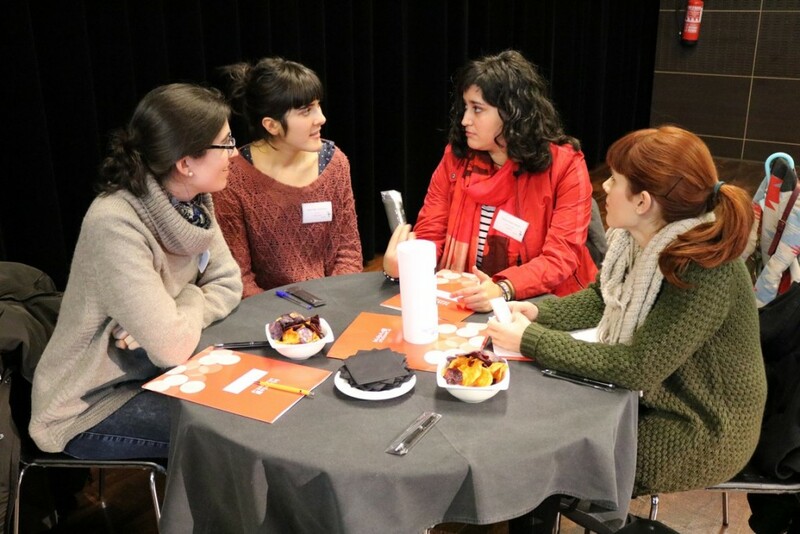 Bizkaia:talent, aware of the importance of networking and collaboration, continues with its commitment to the TALENTIA NETWORK, which was officially presented in 2013 by representatives of the Provincial Council of Biscay. 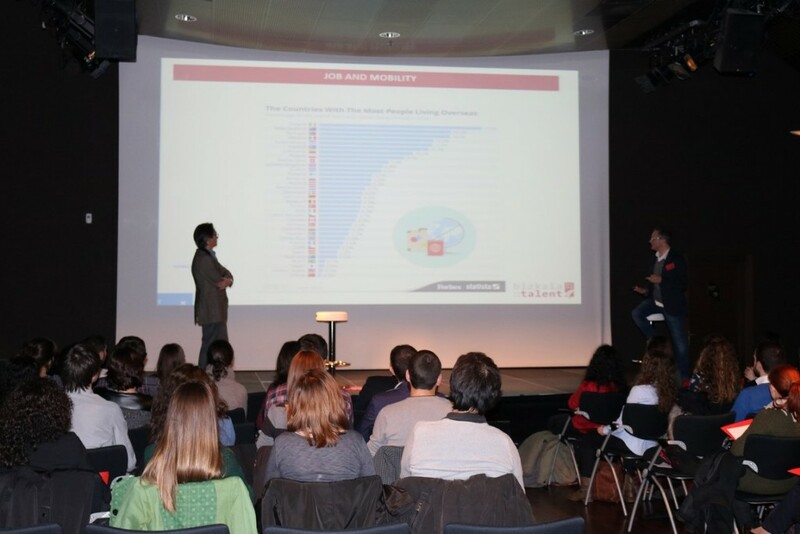 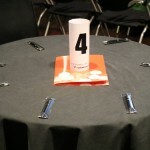 This first 2016 event, in an attempt to make a change from the previous edition and adapt to the needs and concerns of the members of the NETWORK, featured a new design. 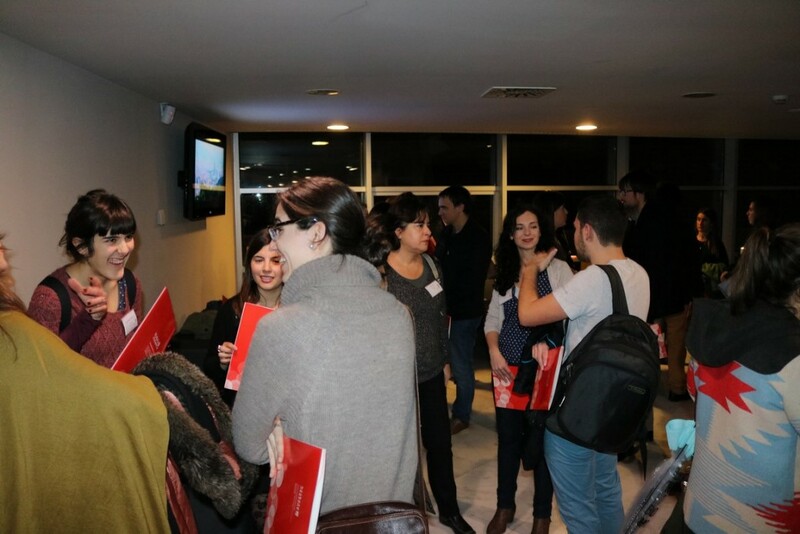 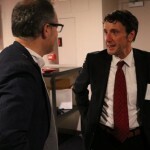 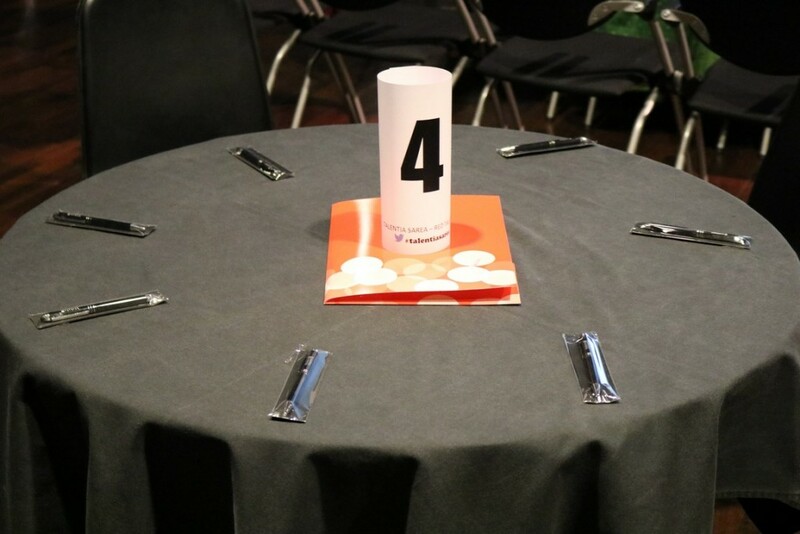 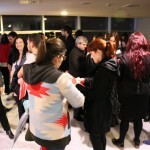 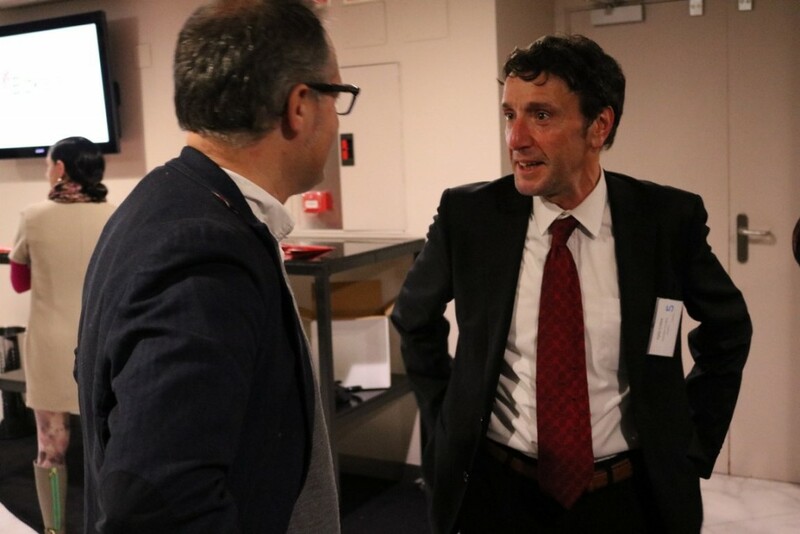 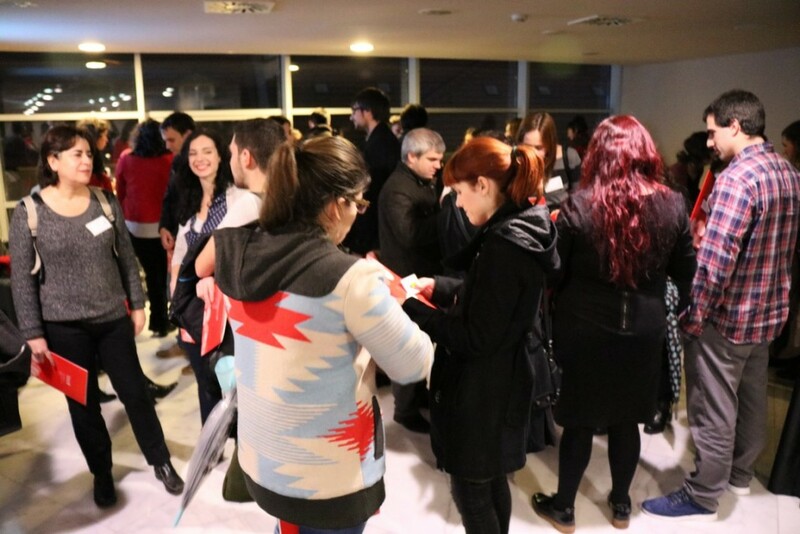 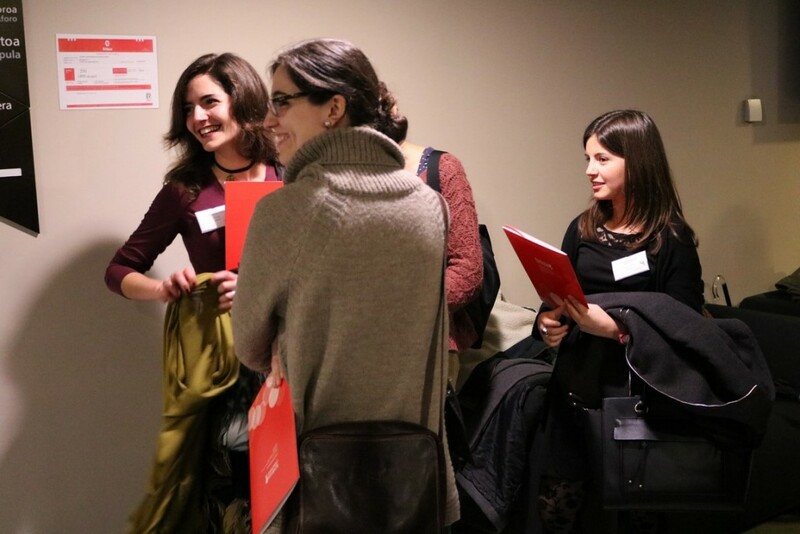 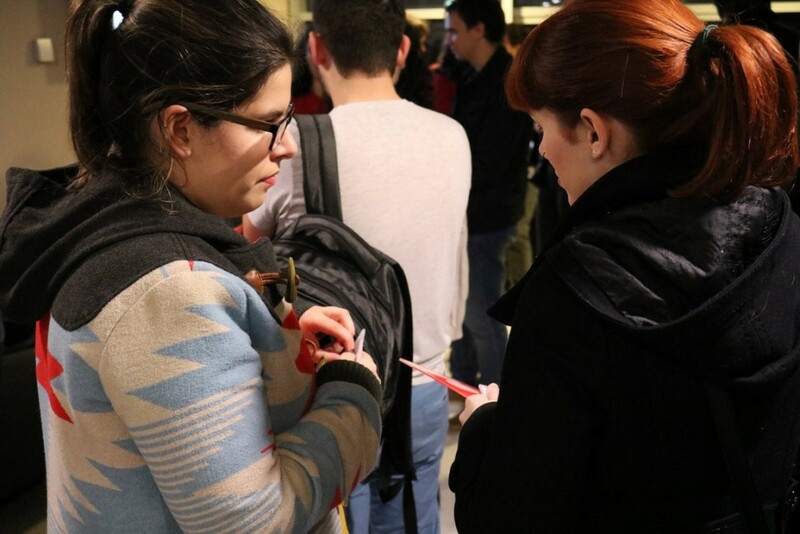 During the first stage of the event, while handing over their credentials, the attendees had the opportunity to interact and start to know each other for half an hour. 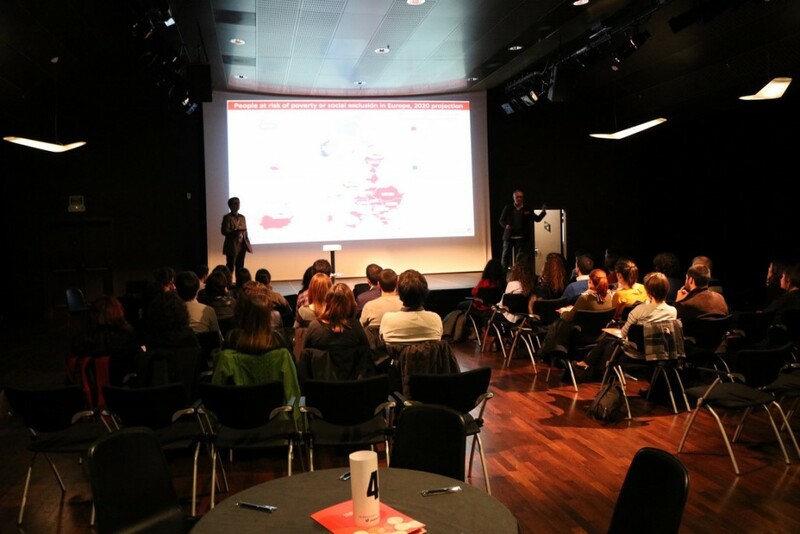 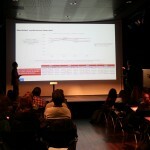 Then, the attendees wet into the main room to listen to a talk by Alea and Jimenez. 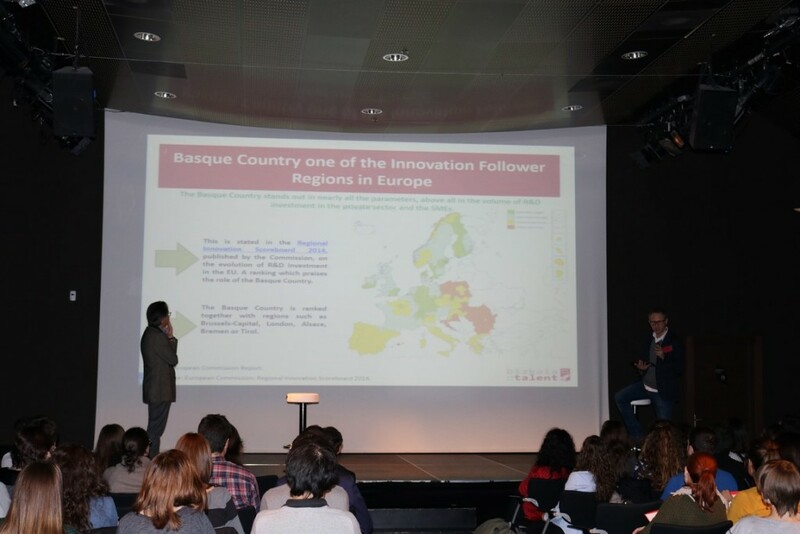 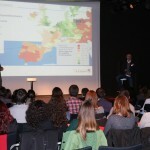 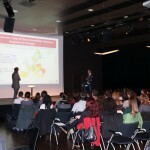 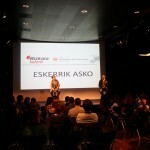 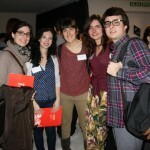 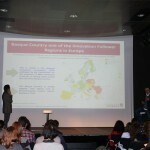 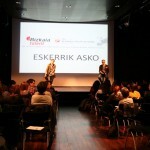 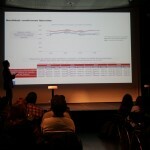 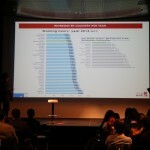 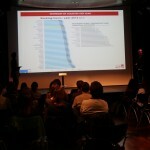 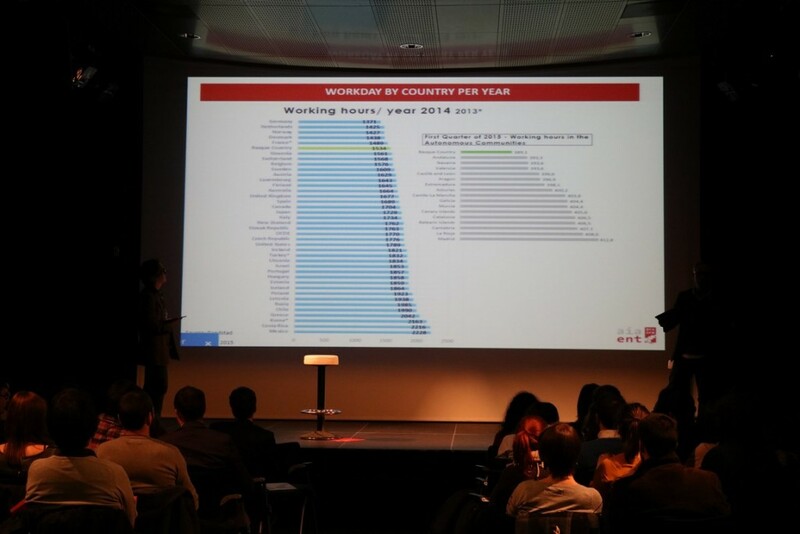 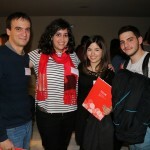 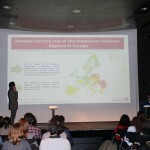 They explained the current situation of the Basque Country and analyzed employment and economic data. 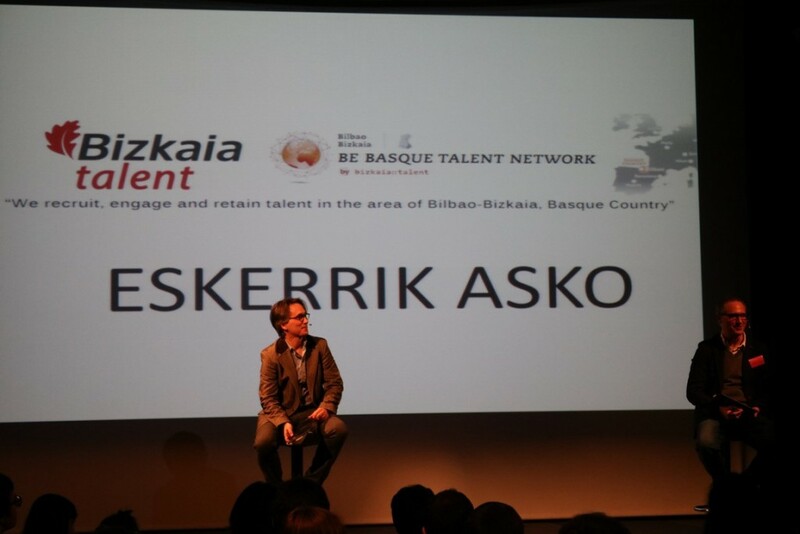 They also talked about the academic profiles which are now being requested by Basque organizations and they gave a realistic and optimistic view of the situation in our country in a few years’ time, when a large number of professionals will be needed to fill all the vacancies and it will even be necessary to import talent from other countries, depending on the sector. 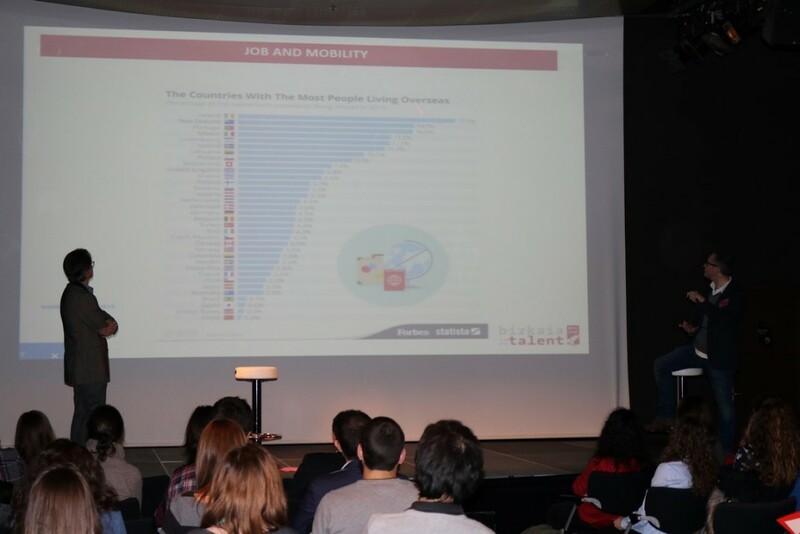 Moreover, they underlined the importance of international experience for an active search for employment, since for many organizations it is an essential requirement when applying for a job. 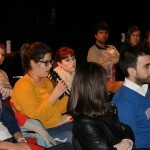 After that, the attendees had the opportunity to ask questions to both speakers to clear up any doubts. 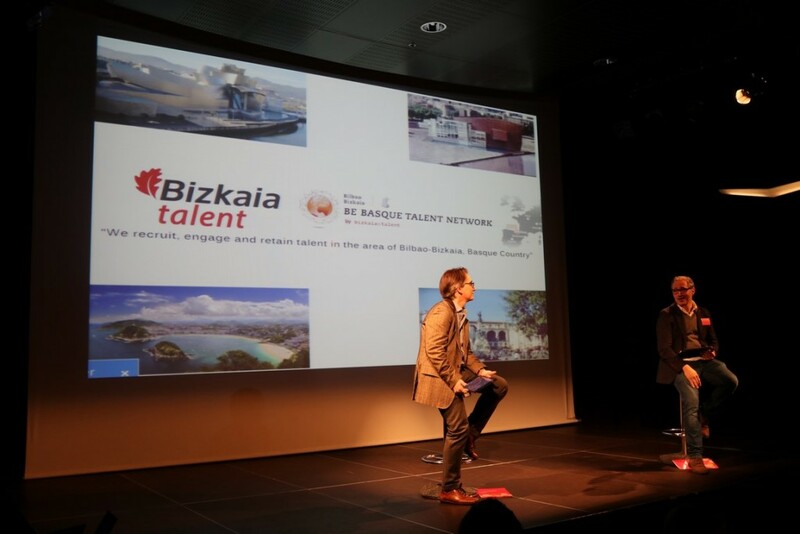 Once this stage was completed they had the opportunity to network with each other.